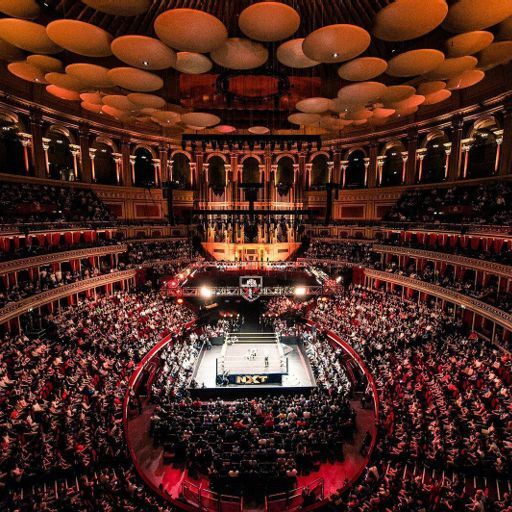 VOW Flagship: Elimination Chamber, Kofi Kingston, Giant Baba Memorial, RevPro & more! 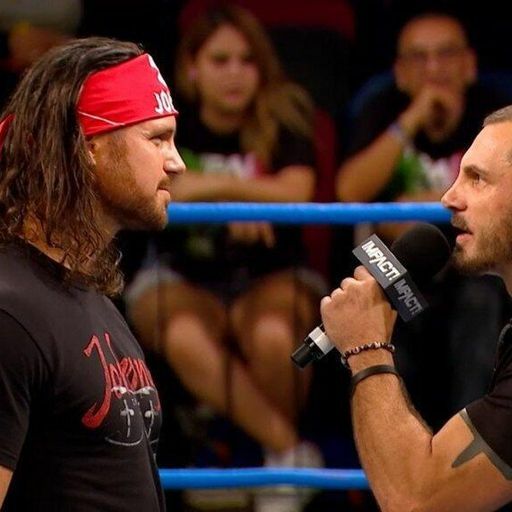 VOW Flagship: AEW, Jay White, PAC vs. Kzy, EVOLVE & more! 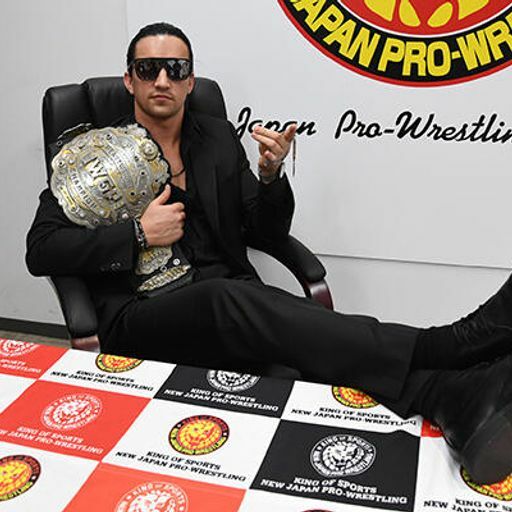 Topics on this week's Voices of Wrestling Flagship podcast include AEW, Jay White, Dragon Gate & the PAC/Kzy MOTY contender, NOAH & Kiyomiya, EVOLVE, Elimination Chamber and much more. 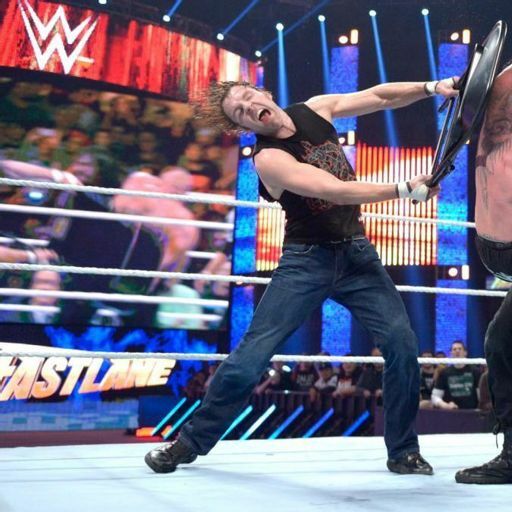 VOW Flagship: Ambrose & KENTA, Royal Rumble, NXT TakeOver & more! 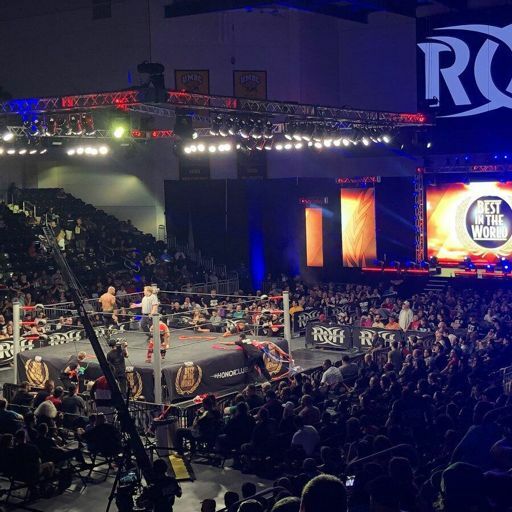 VOW Flagship: Bouncin' Around Titan, Rush, ROH roster & more! 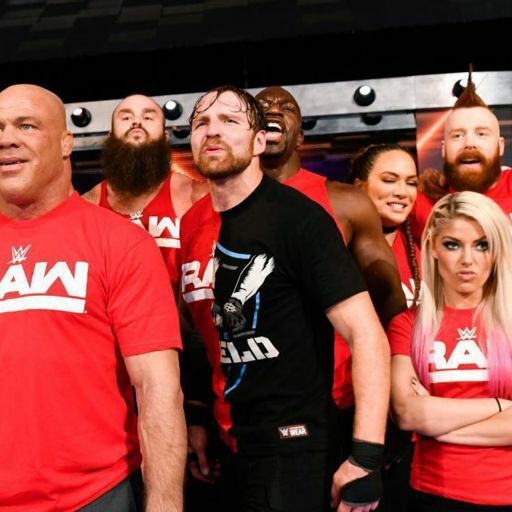 VOW Flagship: AEW Rally, Wrestle Kingdom 13 & more! VOW Flagship: NOAH Great Voyage, Free Thursday TV Reviews & more! VOW Flagship: WON HOF, WWE TLC, ROH Final Battle & more! Support our sponsor GRAPPL. Download the GRAPPL app today on App Store and Google Play and start rating matches both past & present! 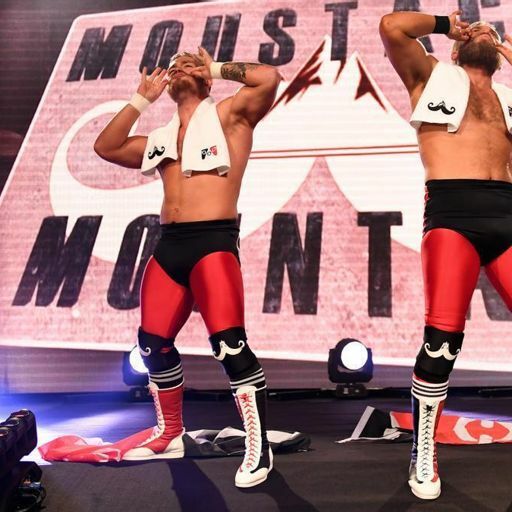 VOW Flagship: NXT UK Deals, WALTER & Your Questions! 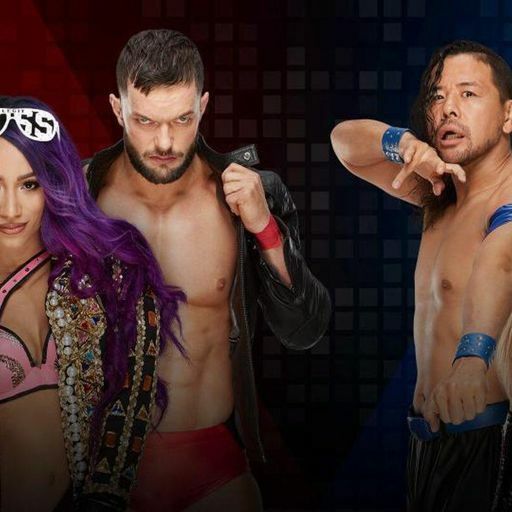 VOW Flagship: Survivor Series, NXT TakeOver, Arquette & more! VOW Flagship: Gabe Sapolsky Interview, Power Struggle & more! 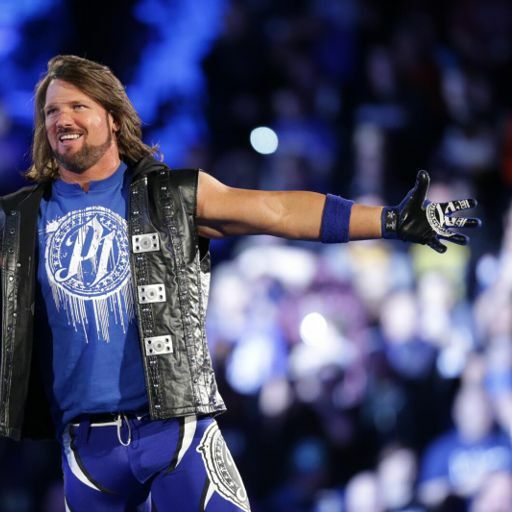 VOW Flagship: Crown Jewel, Austin Aries, NWA 70th & more! Thank you to our sponsor ZipRecruiter! Visit http://www.ziprecruiter.com/VOW and post your first job for free. ZipRecruiter, the smartest way to hire. VOW Flagship: Shingo Is X, KOPW, Super Show-Down & more! VOW Flagship: Destruction in Kobe, WWE 2k19, Questions & more! VOW Flagship: Hell in a Cell, Destruction, Impact/WWE Meeting & more! 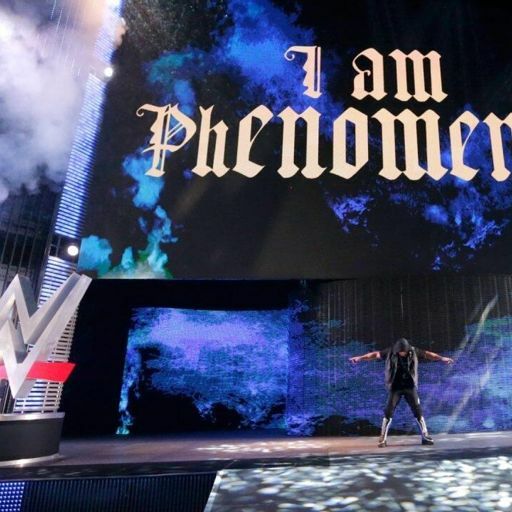 VOW Flagship: Neville, ALL IN, TripleMania, WALTER/Devlin & more! 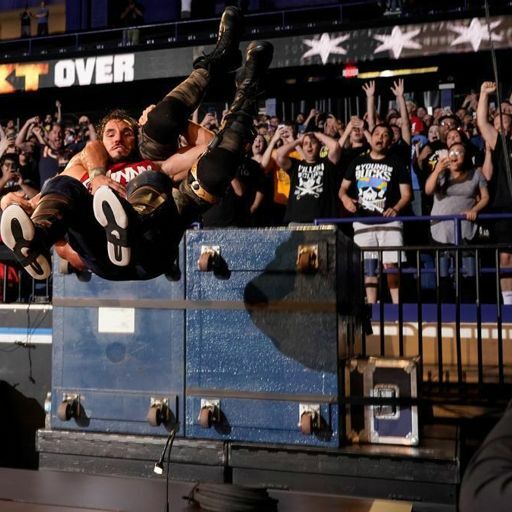 VOW Flagship: NXT & SummerSlam Reviews, Janela & more! 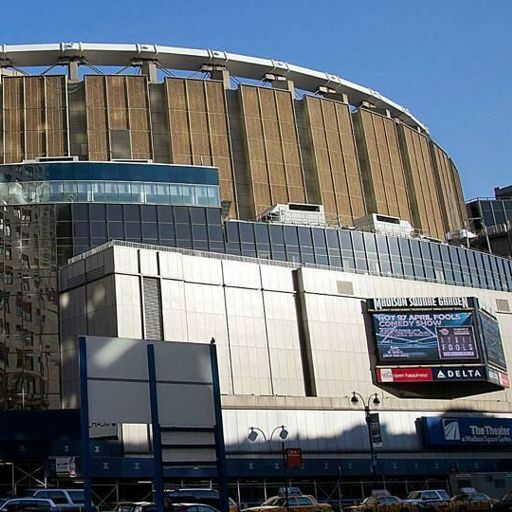 VOW Flagship: ALL IN, ROH/NJPW in MSG, G1 Finals Preview & more! VOW Flagship: Volkoff, Christopher, Brown, G1, MLW & more! VOW Flagship: Extreme Rules, G1 Climax, Slammiversary & more! VOW Flagship: G1 Special in SF, Extreme Rules, G1 Preview & more! VOW Flagship: BOLA 2018 Field, WWE UK, ROH/MLW/Impact TV & More! 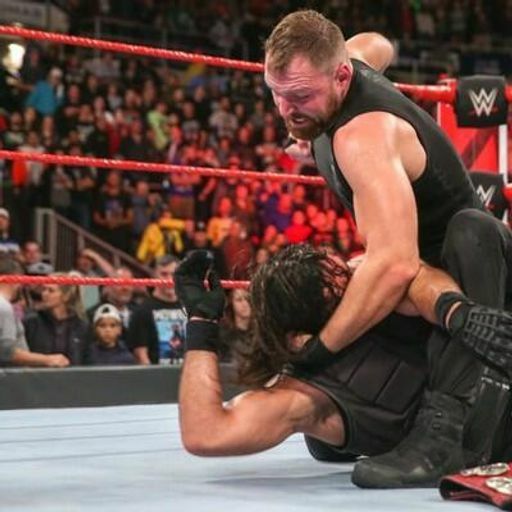 VOW Flagship: Vader Memories, NXT, MITB, G1 Climax 28 Blocks & more! 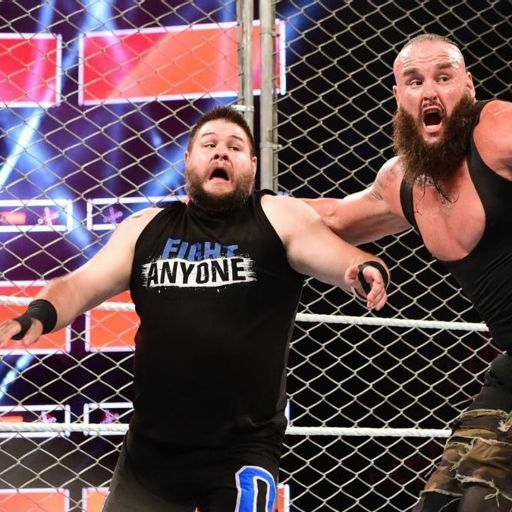 This week on the Voices of Wrestling flagship podcast we review both major WWE shows from last weekend including NXT TakeOver: Chicago II and WWE Money in the Bank 2018. VOW Flagship: Dominion Review, Okada/Omega, MITB, NXT & more! VOW Flagship: BOSJ, MLW/ROH TV, Squirrel Meat & more! 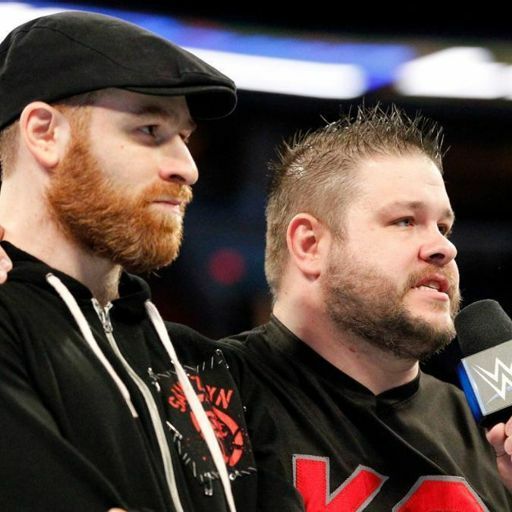 VOW Flagship: WOTY Candidates, FOX/WWE & much more! 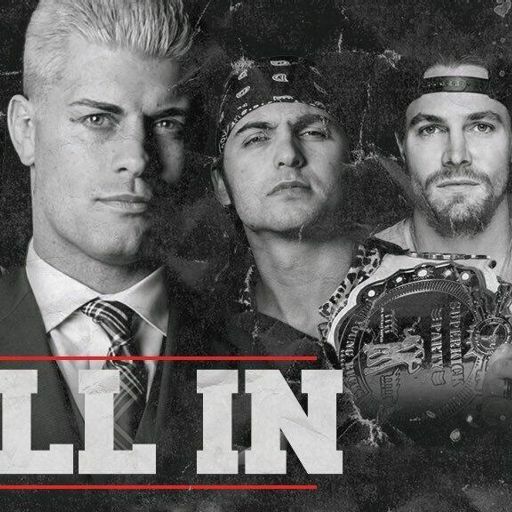 VOW Flagship: All In, Rumored WWE TV Deal, Super Juniors & more! 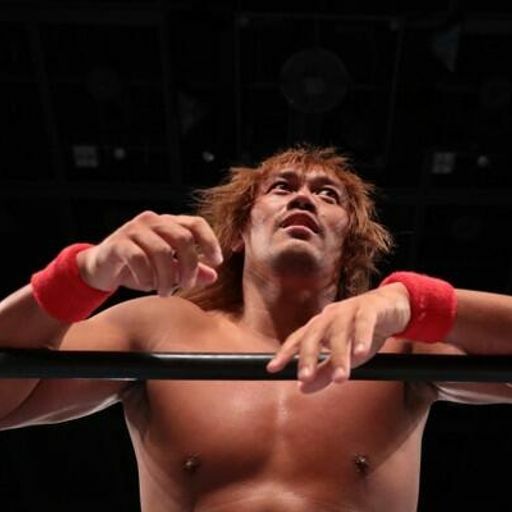 VOW Flagship: Okada/Tanahashi Final Chapter, Backlash, State of ROH & more! 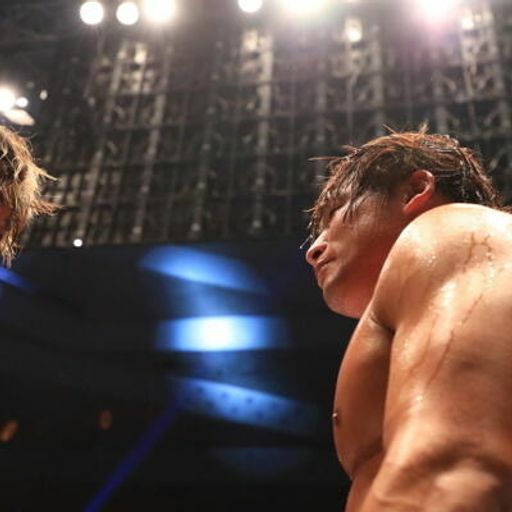 VOW Flagship: Okada vs. Tanahashi, Greatest Royal Rumble, Backlash & more! 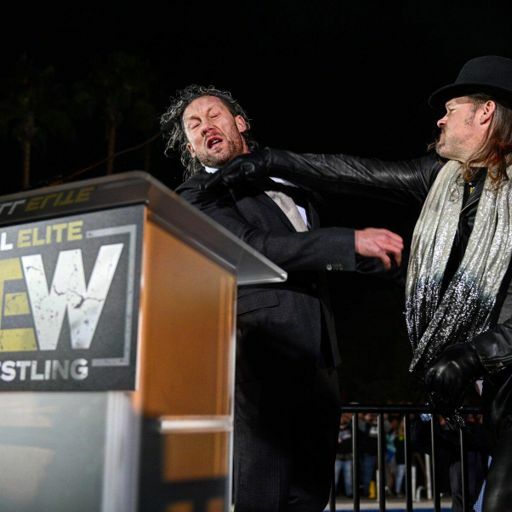 VOW Flagship: Superstar Shakeup, Andre doc, WrestleMania & more! 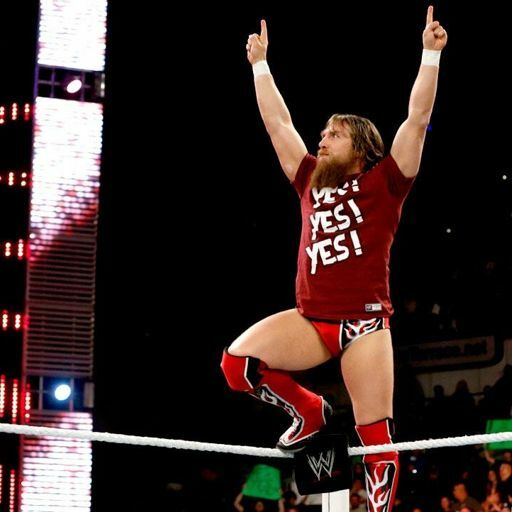 VOW Flagship: Daniel Bryan return, Sabre wins NJ Cup & more! 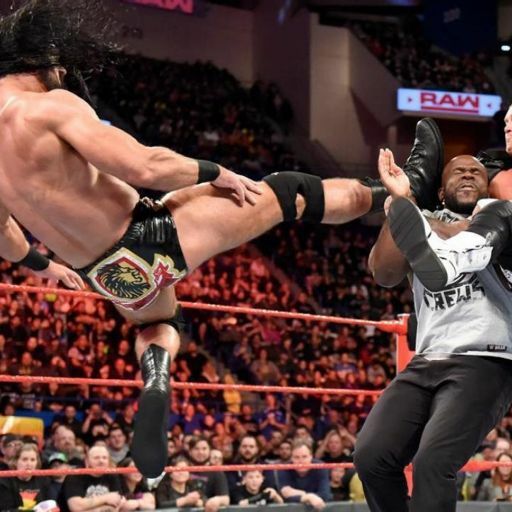 This week on the Voices of Wrestling flagship podcast Joe and Rich review WWE Fastlane 2018, look at the current WWE WrestleManai 34 card and recap the first few nights of NJPW's New Japan Cup. VOW Flagship: NJPW 46th Review, Fastlane Preview, #AllIn & more! 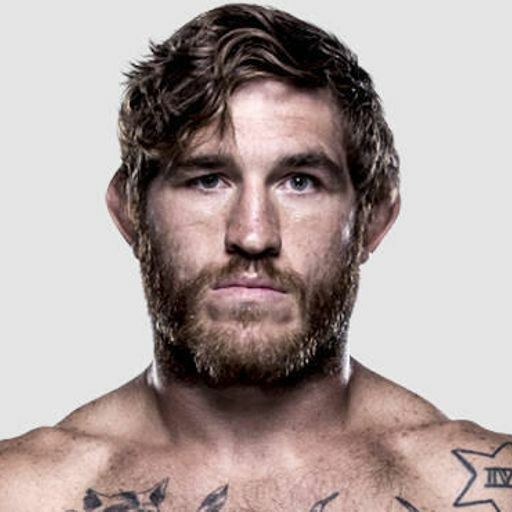 VOW Flagship: Honor Rising, Elimination Chamber & more! VOW Flagship: Elimination Chamber, Honor Rising, CHIKARA Name Game & Your Questions! 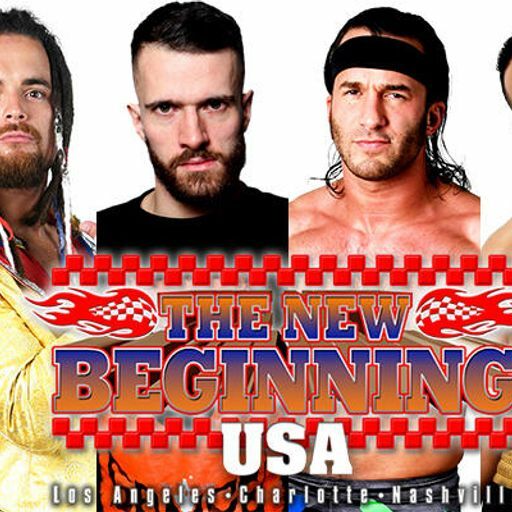 VOW Flagship: New Beginning in Osaka, EVOLVE Weekend & more! 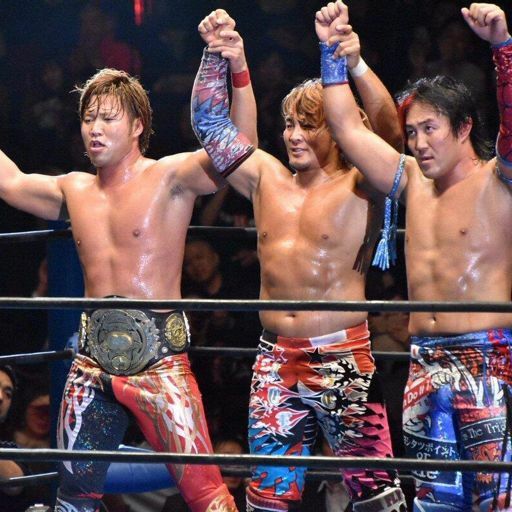 This week on the Voices of Wrestling flagship podcast Joe and Rich recap NJPW's The New Beginning in Osaka, NJPW's 46th Anniversary Show, EVOLVE 100 & 101, the history of EVOLVE and much more. VOW Flagship: 205 Live The Reborn, New Beginning Osaka, AJPW & more! 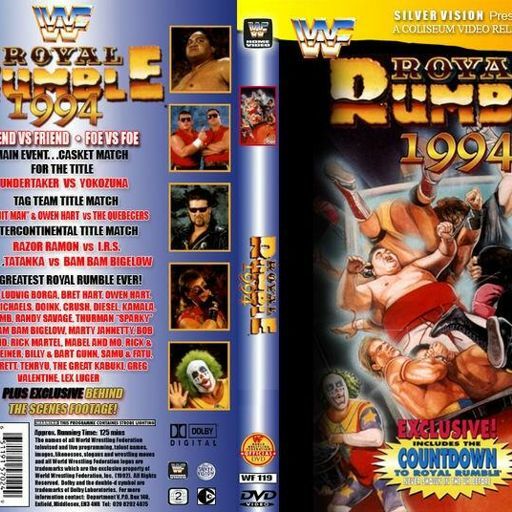 VOW Flagship: XFL Returns, Royal Rumble, TakeOver, 205 Future & more! 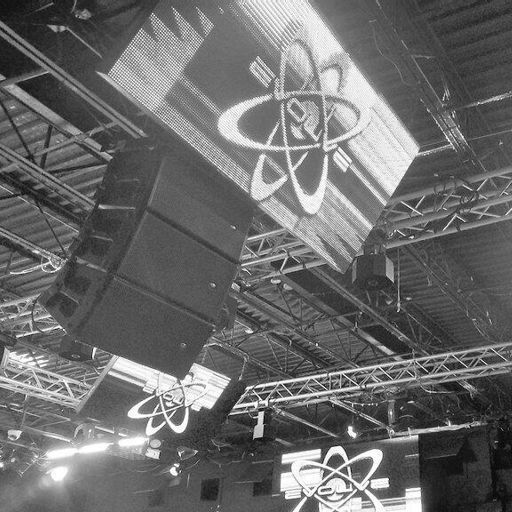 VOW Flagship: EVOLVE/WWN Weekend, 205 Live, NWA Empty Arena & more! 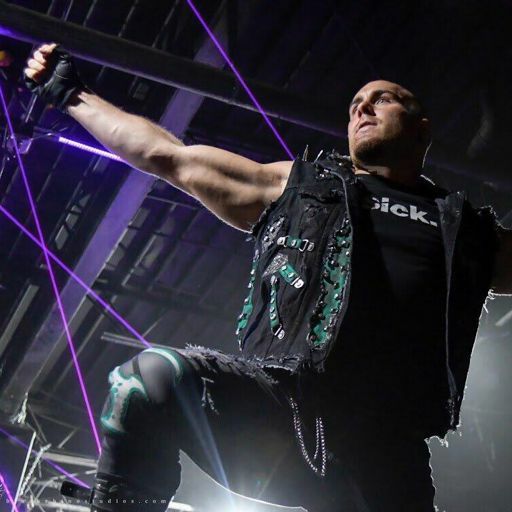 This week on the Voices of Wrestling flagship podcast, Joe and Rich talk about the huge EVOLVE/WWN weekend including reviews of EVOLVE 98, Style Battle Season 1: Episode 8 and EVOLVE 99. VOW Flagship: Mixed Match Challenge, FantasticaMania & more! 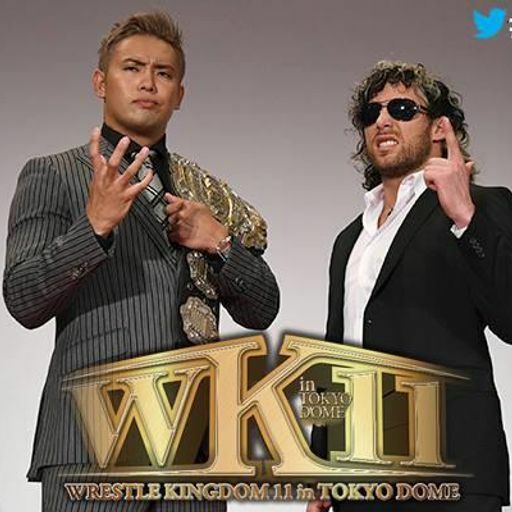 VOW Flagship: Wrestle Kingdom 12 Preview, Year in Review & more! 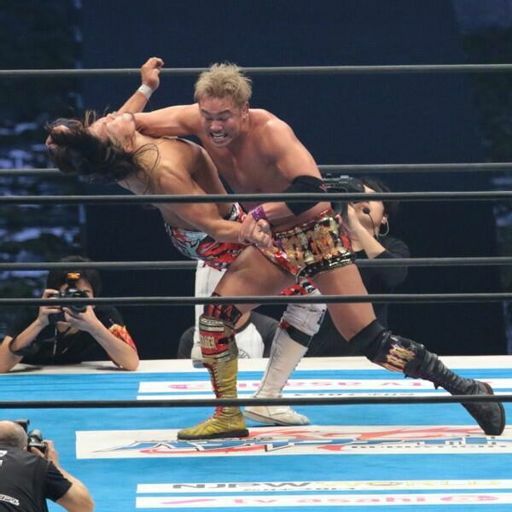 VOW Flagship: NJPW WK12 Card, Clash of Champions & more! VOW Flagship: Alpha vs. Omega, Mixed Match Challenge & more! VOW Flagship: 205 Live House Shows, Global League, Q&A and more! 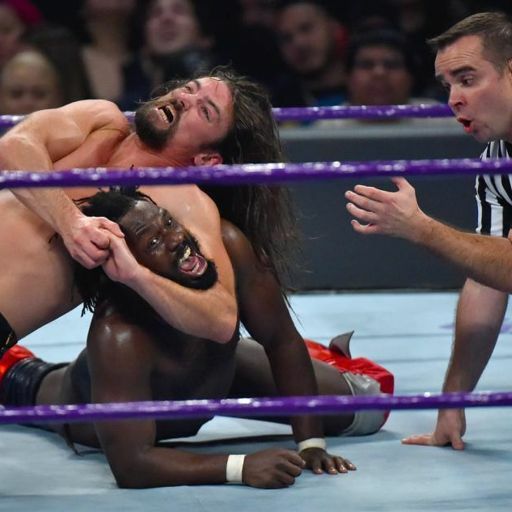 This week on the Voices of Wrestling flagship podcast: 205 Live goes on the road, reviewing NOAH's Global League final, a check-in on NJPW's World Tag League, WK12 airing on AXS TV and last but not least, your questions! 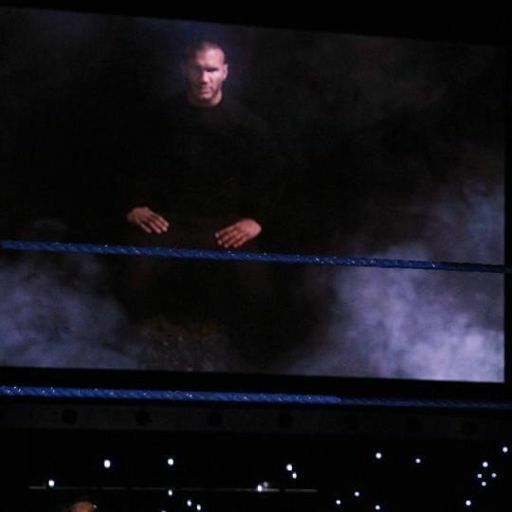 VOW Flagship: Zayn & Owens, Power Struggle, Bound for Glory, Dragon Gate & more! 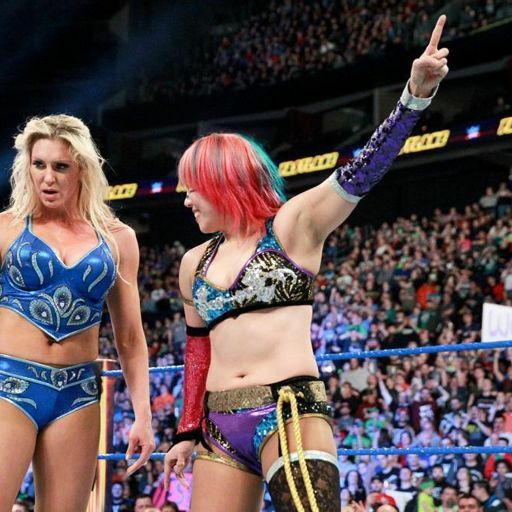 VOW Flagship: Asuka debut, WWE TLC, AJPW & more! VOW Flagship: Neville, Jimmy Jacobs, KOPW, HIAC & more! 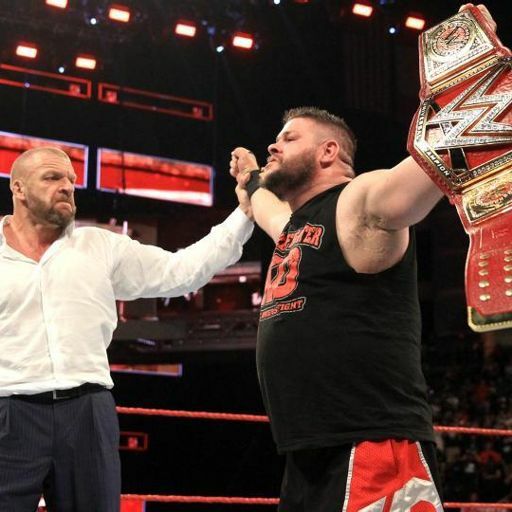 VOW Flagship: KOPW, Hell in a Cell, WON HOF & more! 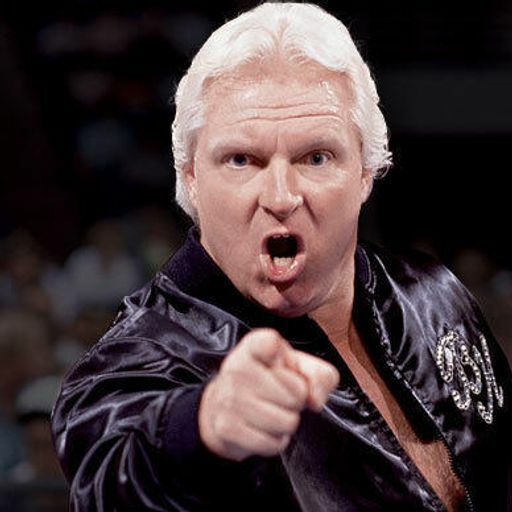 VOW Flagship: Bobby Heenan, FloSlam Lawsuit, WWE No Mercy & more! 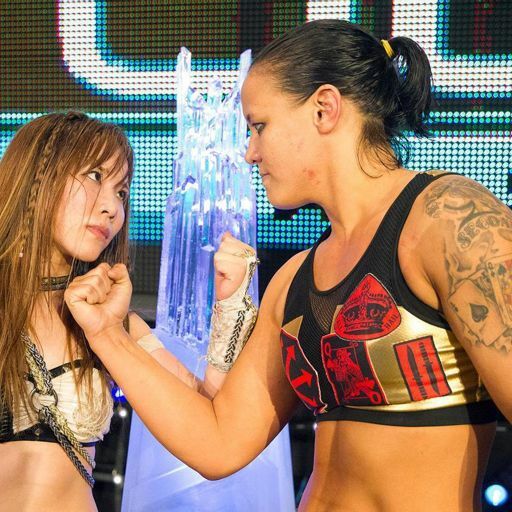 VOW Flagship: Mae Young Classic, NJPW Destruction & more! VOW Flagship: Mae Young Classic, AJPW, TripleMania & more! VOW Flagship: SummerSlam & TakeOver Reviews, NJPW Lineups & more! VOW Flagship: SummerSlam, Takeover, HEAT GATE, G1 & more! 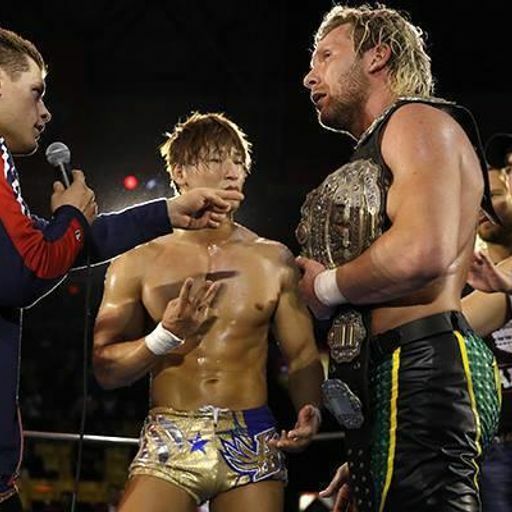 VOW Flagship: G1 Finals Preview, Aussie Scene, Onita & more! VOW Flagship: Nakamura/Cena, G1 Scenarios & more! 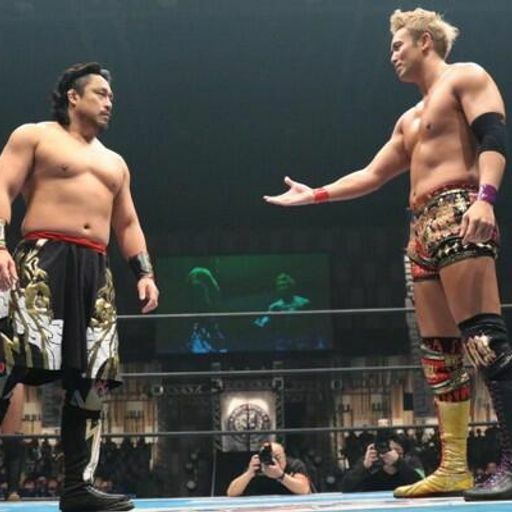 VOW Flagship: G1 Climax Catch-Up, Kobe World, Battleground & more! VOW Flagship: #WWEBalls, BOLA Lineup, Alberto/Paige & more! VOW Flagship: G1 Special in USA, Intermissions, Great Balls of Fire & more! 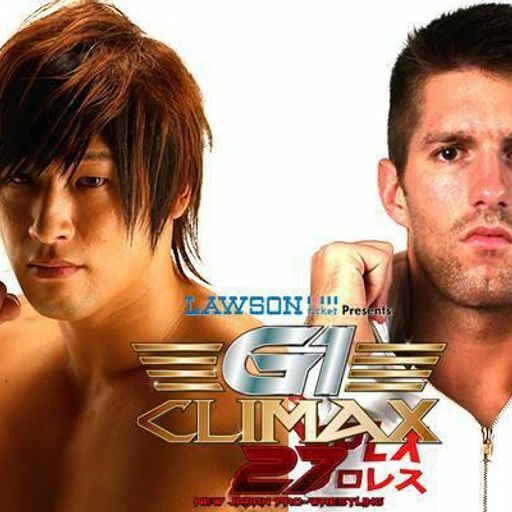 VOW Flagship: G1 Climax Blocks & Schedule, Slammiversary, GFW & more! 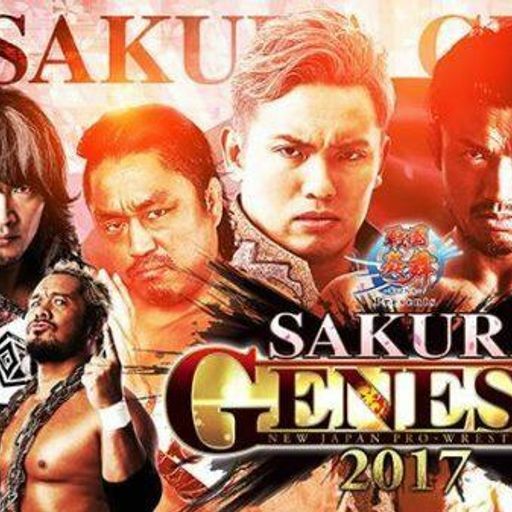 VOW Flagship: G1 Climax 27 Participants, Money in the Bank & more! 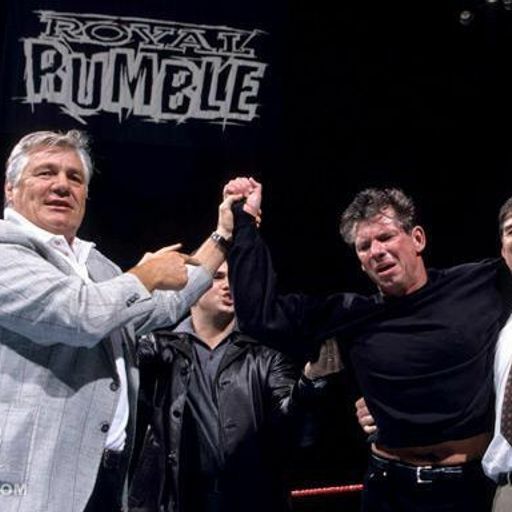 15 years ago today, Total Nonstop Action came into existence. 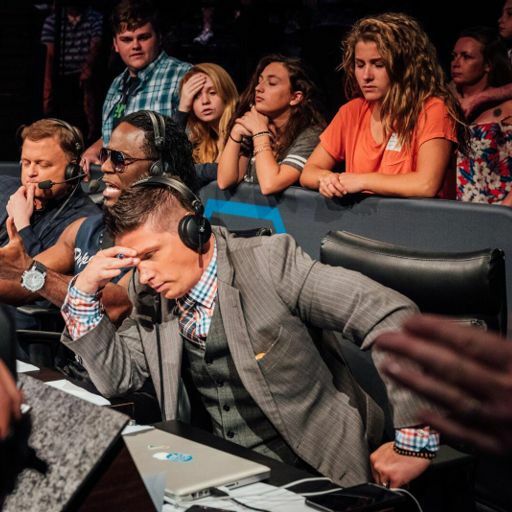 In celebration of this anniversary, VOW Impact Wrestling reviewer and TNA historian Garrett Kidney talks with Mr. TNA himself Jeremy Borash. 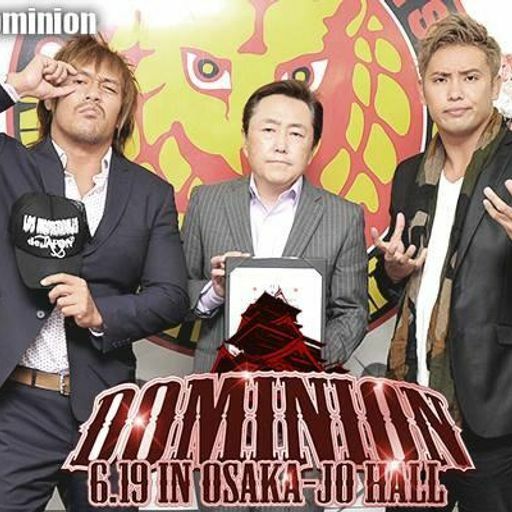 VOW Flagship: Dominion, Omega/Okada, NJPW G1 Specials & more! 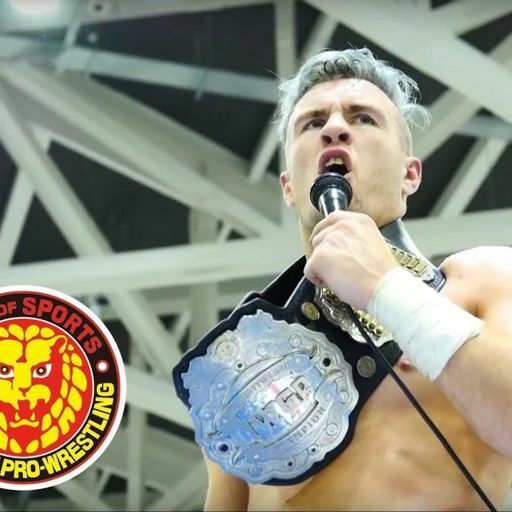 VOW Flagship: Ospreay/KUSHIDA, Dominion Preview, FloSlam & more! VOW Flagship: Fire Pro Wrestling World, TakeOver: Chicago, Backlash & more! This week on the Voices of Wrestling flagship podcast, Joe and Rich open up the VOW Forum mailbag and answer questions from our loyal listeners. VOW Flagship: Best of the Super Juniors, Billy Corgan/NWA, WWE Payback & more! 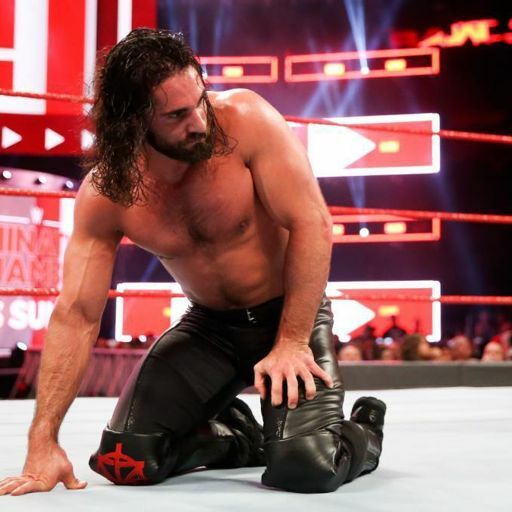 This week on the Voices of Wrestling flagship podcast: Joe and Rich breakdown the insane Best of the Super Juniors lineup, discuss potential winners and big stories surrounding this year's tournament. VOW Flagship: Jinder Mahal, Shoot Headbutts, EVOLVE, Impact Wrestling, & more! 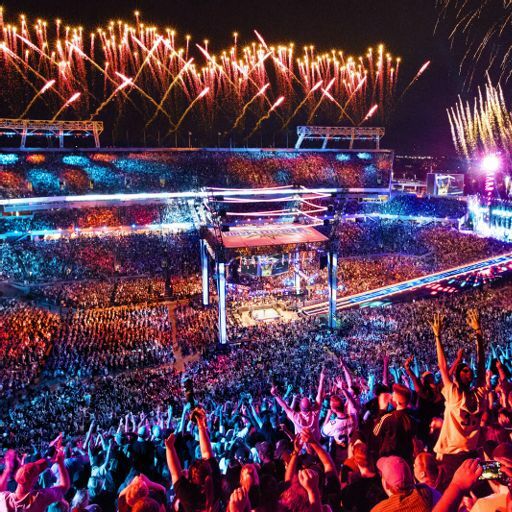 VOW Flagship: WrestleMania 33, Roman Reigns, Okada vs. Shibata & more! VOW Flagship: ROH 15th Anniversary, Ishii/Omega, Wrestle-1 & more! 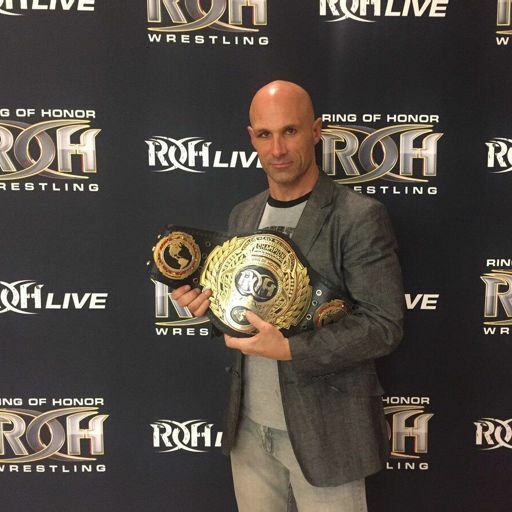 VOW Flagship: TNA Changes, WON Awards, Tom Phillips & more! 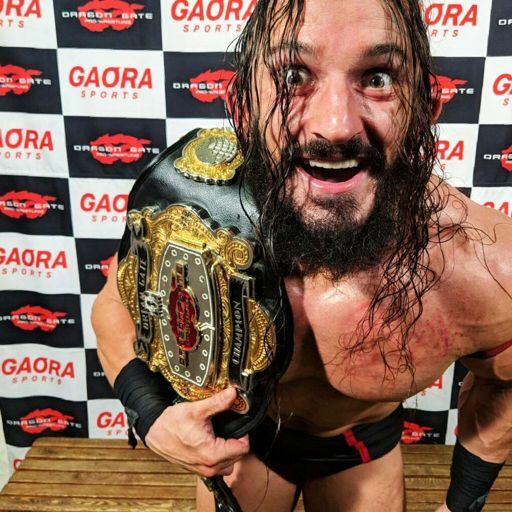 VOW Flagship: NOAH The Reborn, Dragon Gate, ROH Anniversary & more! 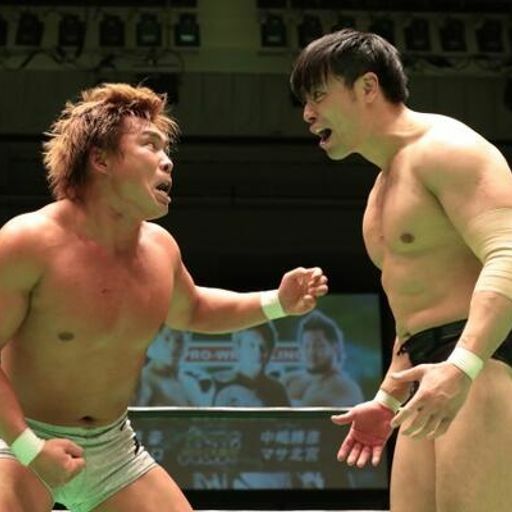 WWE and NJPW are on the back burner this week as the VOW Flagship talks NOAH The Reborn, AJPW, Dragon Gate, Inoki Peace Festival, ROH's debut show, a loaded EVOLVE weekend & much more! 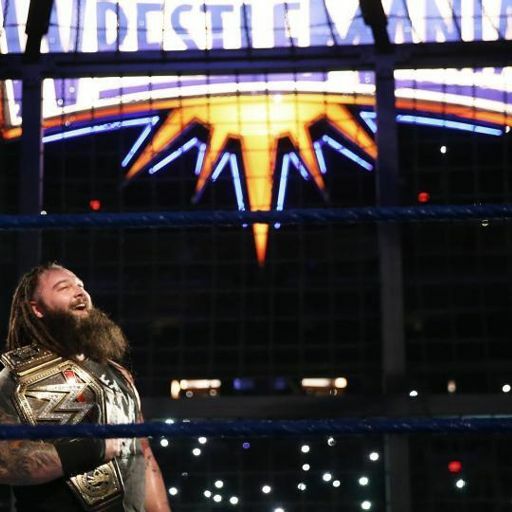 VOW Flagship: Elimination Chamber, Deserving Titles, New Beginning & more! 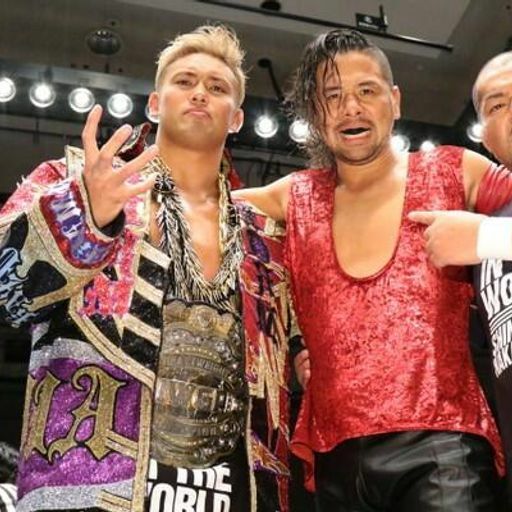 VOW Flagship: Okada/Suzuki, New Beginning, Elimination Chamber & more! 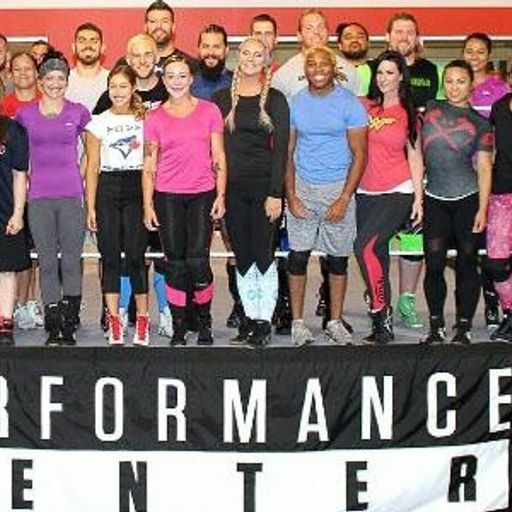 VOW Flagship: Royal Rumble Weekend, Major Injuries & more! 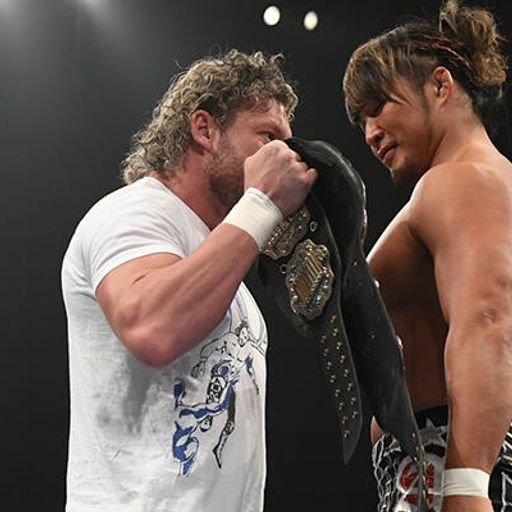 VOW Flagship: Kenny Omega, WrestleMania Changes & more! 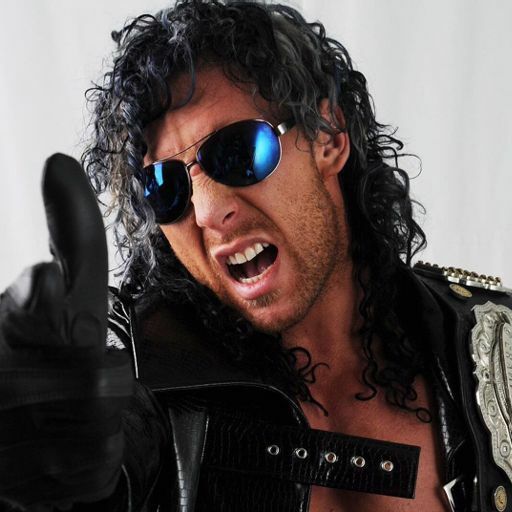 This week on the Voices of Wrestling flagship podcast Joe Lanza and Rich Kraetsch discuss the mysteries of the ongoing Kenny Omega situation — is he WWE bound or is his break from Japan an elaborate work? 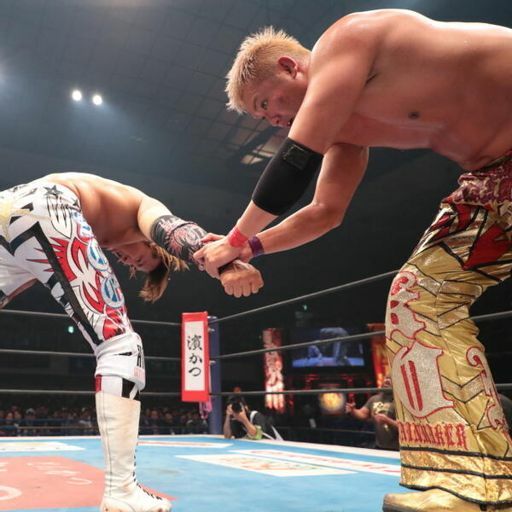 VOW Flagship: Wrestle Kingdom 11, Roadblock: End of the Line & more! 205 Live, TLC, AJPW Sumo Hall, WON HOF & more! 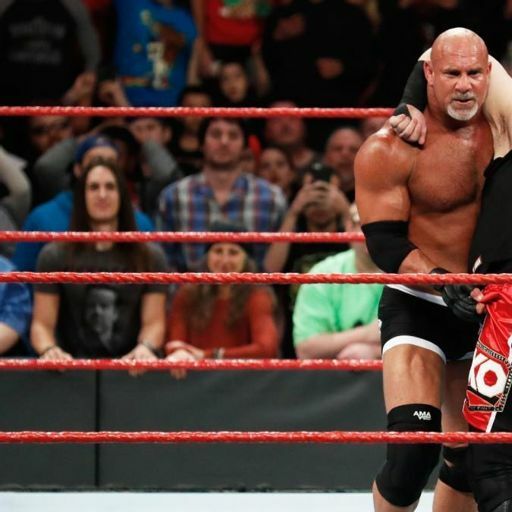 VOW Flagship: Goldberg, AJPW Sumo Hall, TakeOver & more! VOW Flagship: Joey Styles, NXT Takeover: Toronto, Survivor Series & more! 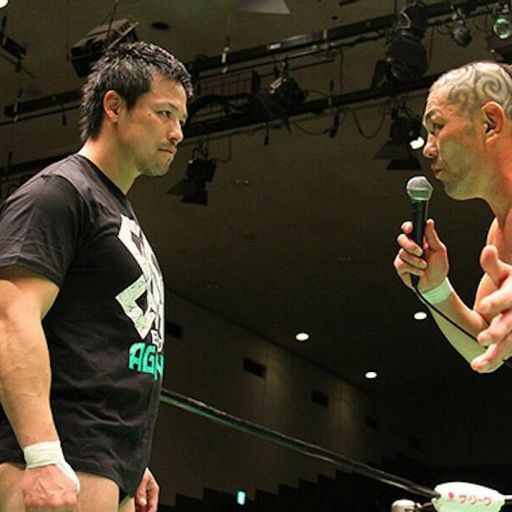 VOW Flagship: Power Struggle 2016, World Tag League & more! VOW Flagship: Hell in a Cell 2016, NOAH Sale, Power Struggle & more! 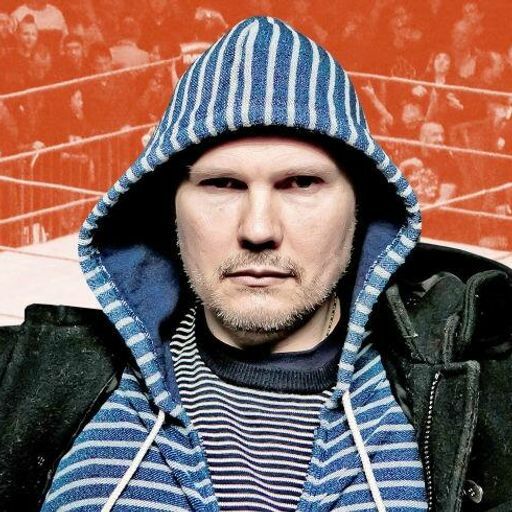 VOW Flagship: TNA/Billy Corgan Saga, FloSlam, Hell in a Cell & more! VOW Flagship: Sasha Banks/Charlotte, Dragon Gate & Questions! 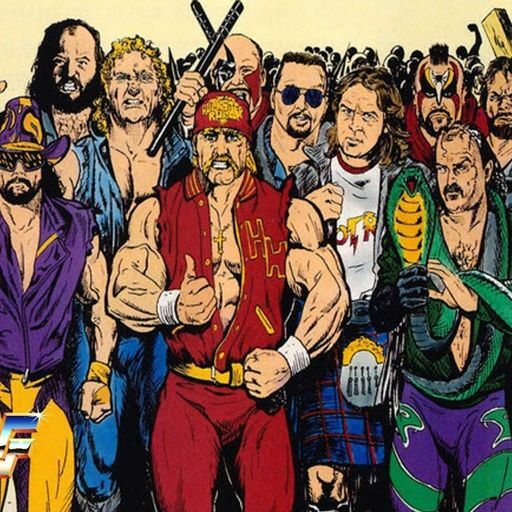 The Voices of Wrestling flagship podcast returns as Joe and Rich talk a number of topics across the world of the wrestling. 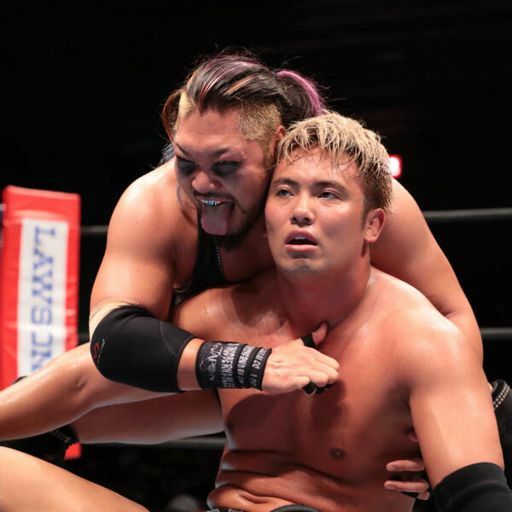 Hideo Itami Injury, Okada's Year, King of Pro-Wrestling & more! 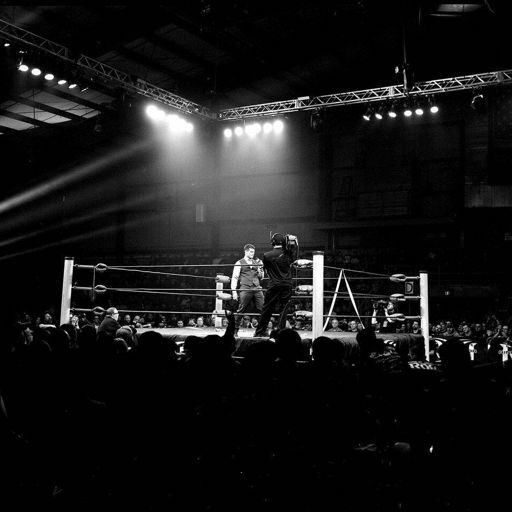 VOW Flagship: TNA Sale, Bound for Glory, King of Pro-Wrestling & more! VOW Flagship: Clash of Champions, Destruction Kobe, WWE Tryouts, TNA Drama, & more! 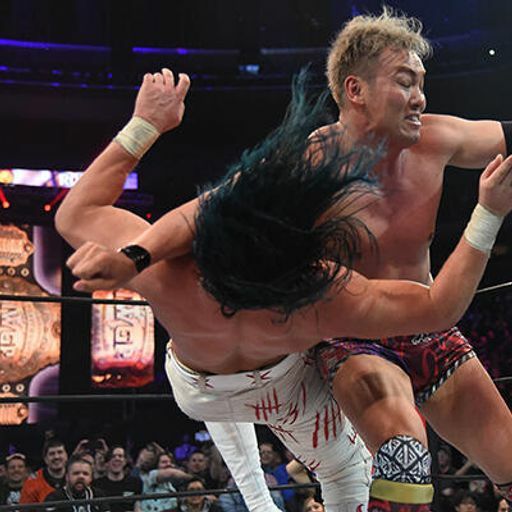 VOW Flagship: NJPW Destruction, WWE Cruiserweight Debuts & more! 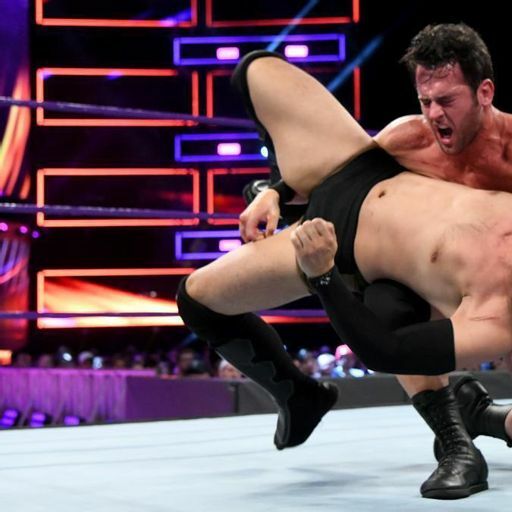 VOW Flagship: Cruiserweight Classic, Backlash, Shibata Injury & more! VOW Flagship: Super Indies, Destruction, Cruiserweight Classic & more! 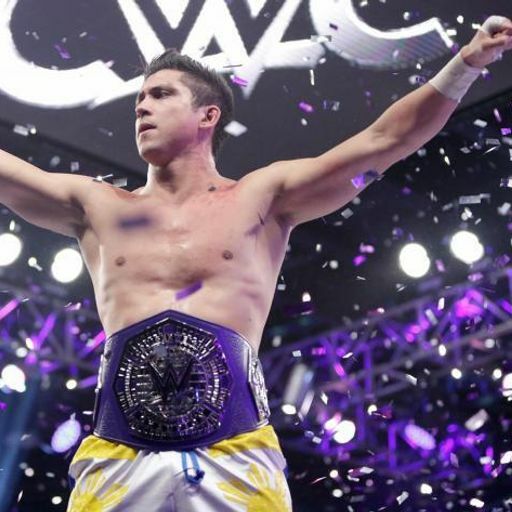 This week on the VOW Flagship: the rise of the super indie, a preview of the big EVOLVE weekend, Cruiserweight Classic, NJPW's Destruction tour & more! 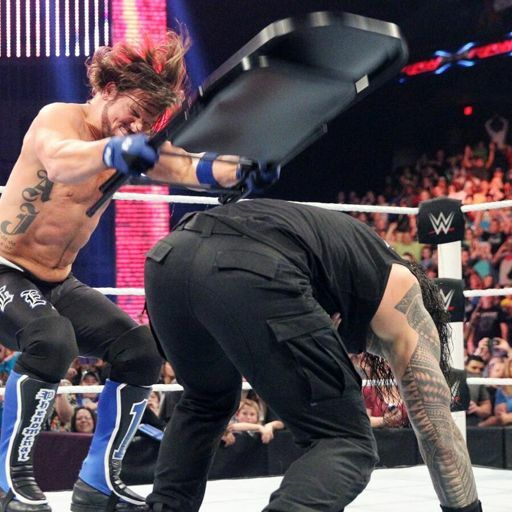 VOW Flagship: SummerSlam, Talking Smack, Super J-Cup & more! 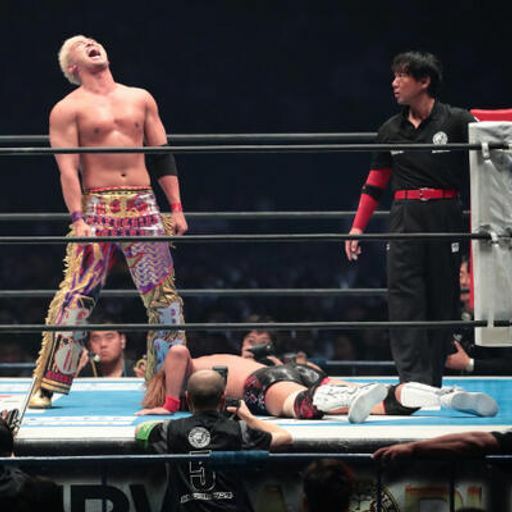 Joe and Rich are finally reunited for a loaded show previewing NJPW's G1 Climax 26 Finals, talking scenarios for each wrestler still alive as well as discussions on MVP and most disappointing from the tournament. VOW Flagship: G1 Climax, SummerSlam, Pokemon Go, Itami & more! 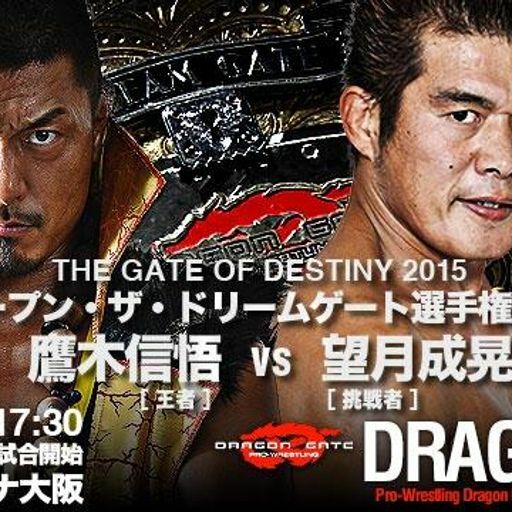 VOW Flagship: Dragon Gate Kobe World 2016, G1 Climax & more! 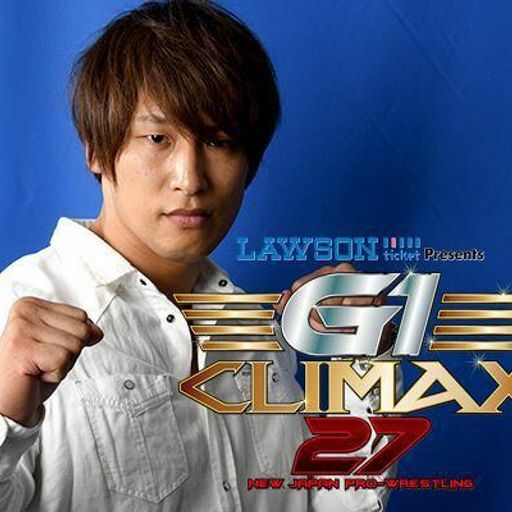 VOW Flagship: G1 Climax 26, Super J Cup WWE Draft & more! 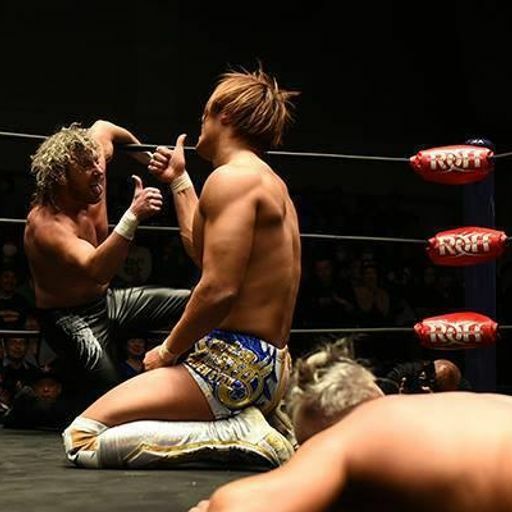 G1 Climax Odds, Ring of Honor Turmoil, TNA Ratings & Your Questions! Cruiserweight Classic, Super J Cup, The Final Deletion & more! NJPW G1 Climax, Carmella, WWE talent gossip & more! 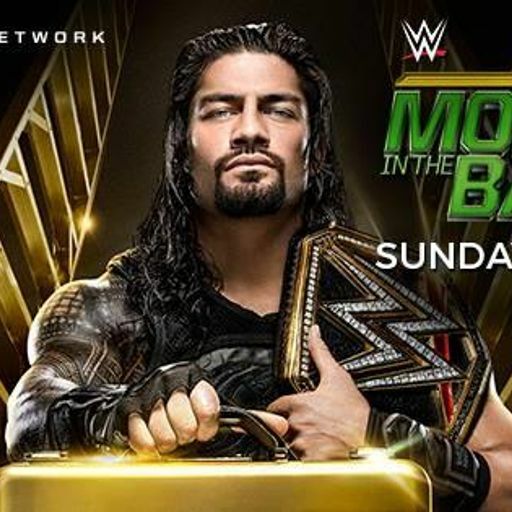 Roman Reigns Wellness Violation, MITB, Dominion, State of ROH & more! 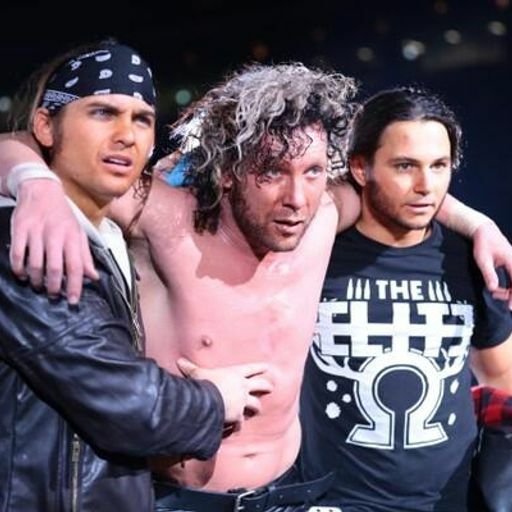 Best of the Super Juniors, NJPW Dominion, Slammiversary & more! 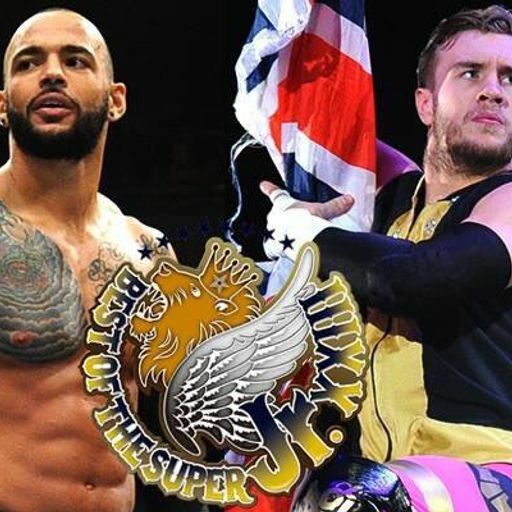 Ospreay vs. Ricochet, BOSJ Scenarios, NOAH, AJPW & more! Extreme Rules, Best of the Super Juniors, Your Questions & more! 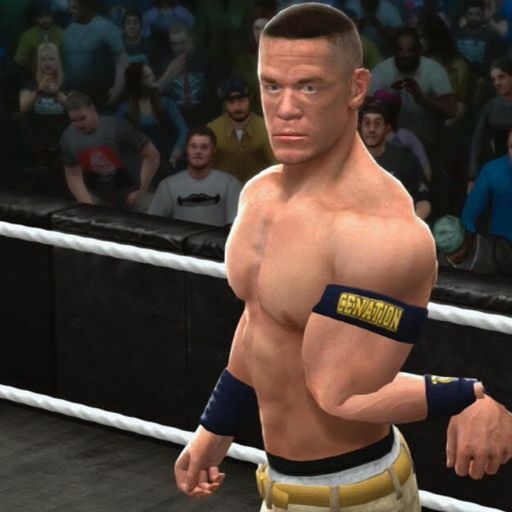 WWE Payback 2016, Ryback, Wrestling Dontaku & more! 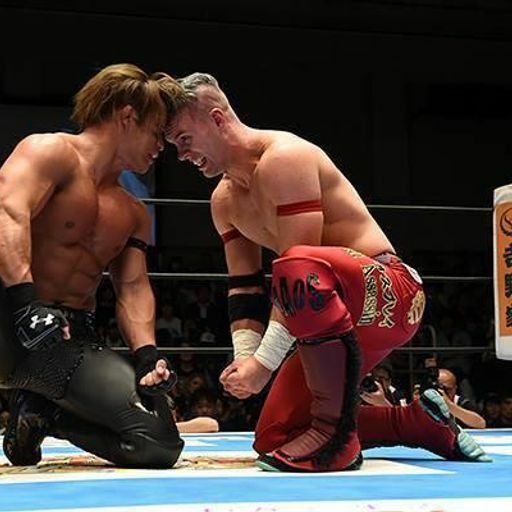 Wrestling Dontaku, WWE Payback 2016, Ospreay Signing & more! 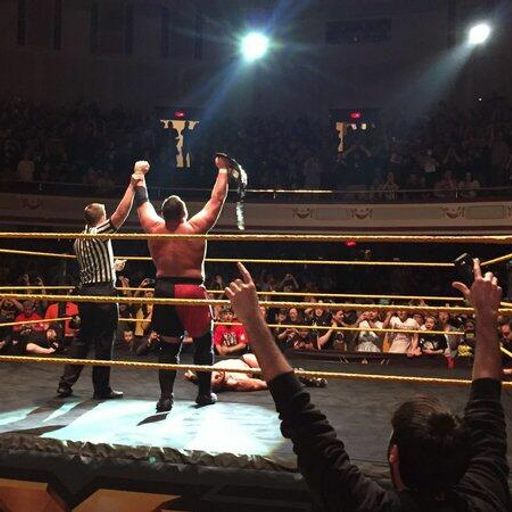 NXT Title Change, Finn Balor's Reign, New TNA Owners, Chyna & more! 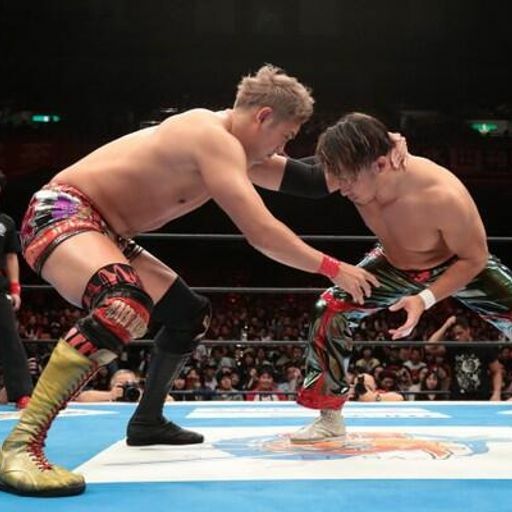 NJPW Invasion Attack, Aries, WrestleMania weekend & more! 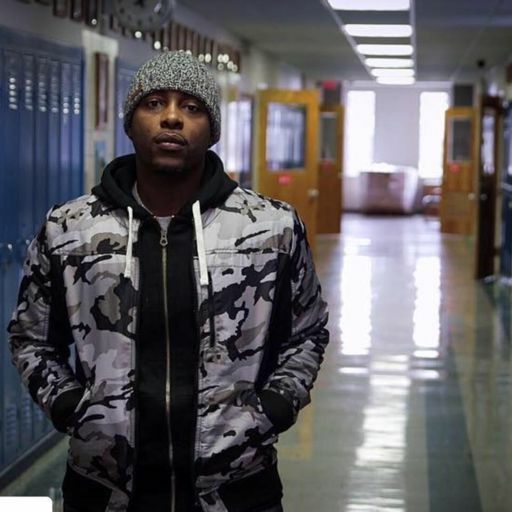 Jon Connor on Flint Water Crisis, WrestleMania 32 Fantasy Booking & more! 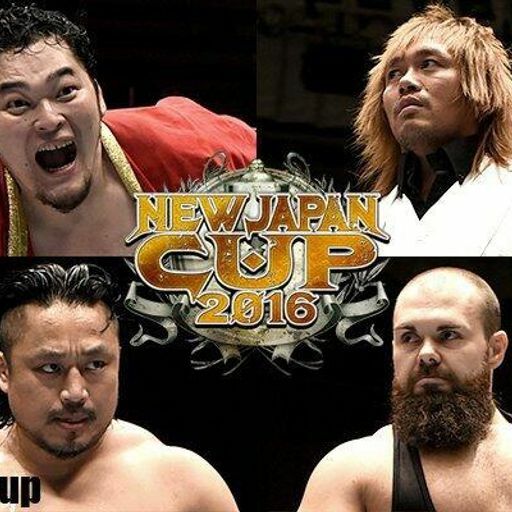 New Japan Cup Finals, What's In Store for WrestleMania Weekend & more! 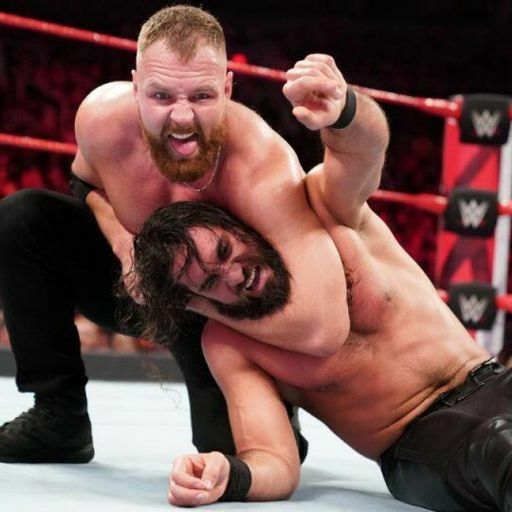 Declaring Victory on Reigns, WWE Fastlane, Kota Ibushi & more! 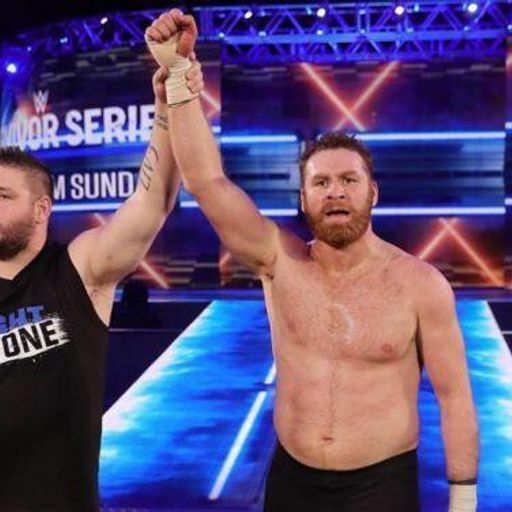 WWE Fastlane, New Beginning, Honor Rising & more! 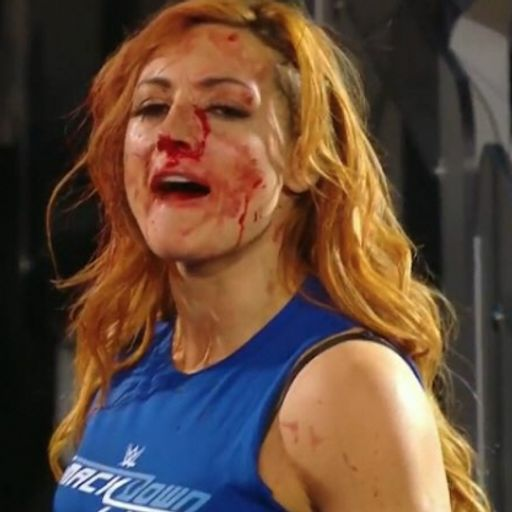 Wrestling is great, isn't it? 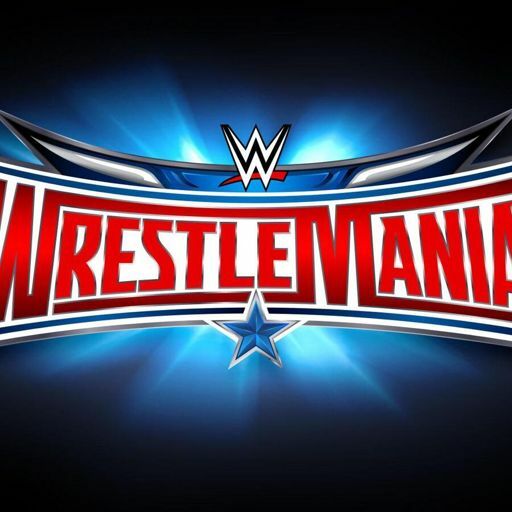 Rumored WrestleMania card, New Beginning & Lions Gate, Intergender Wrestling & more! 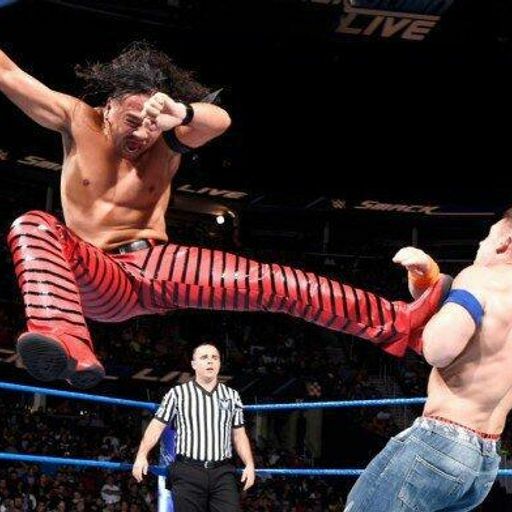 Nakamura to NXT, Royal Rumble Review, NOAH & more! 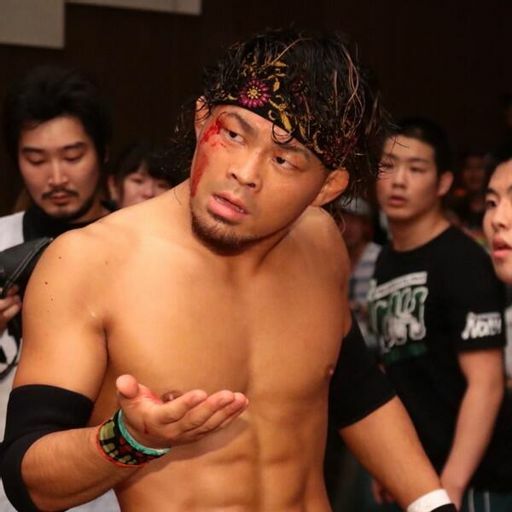 NOAH, IWGP IC Title situation, All Japan, and is Sasha Banks a viable WOTY? 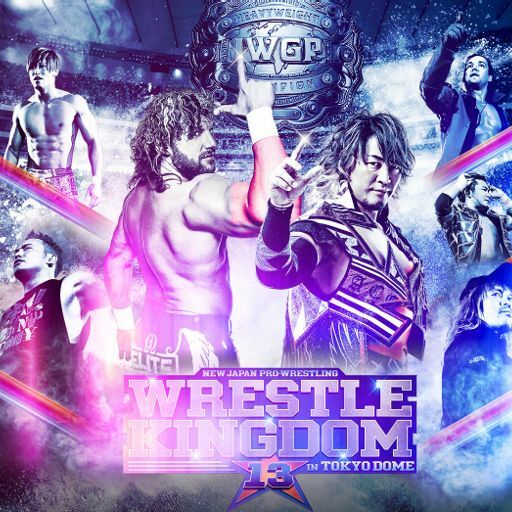 Wrestle Kingdom 10 Preview, NOAH Destiny & more! 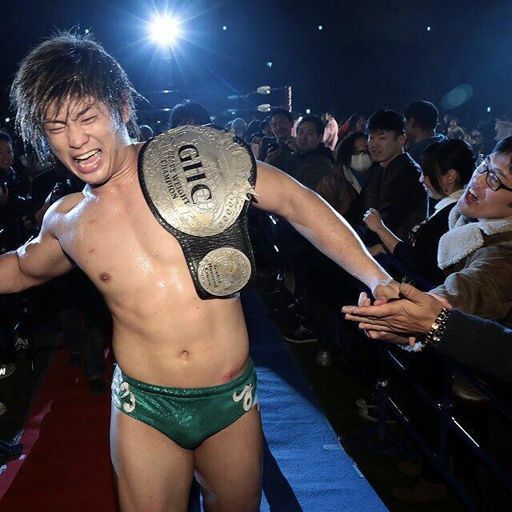 Road to Tokyo Dome, NOAH Destiny 2015 & more! 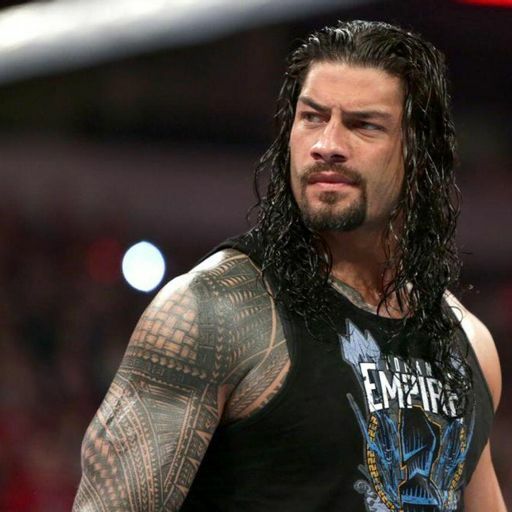 What To Do With Roman, WWE TLC, NXT TakeOver & more! 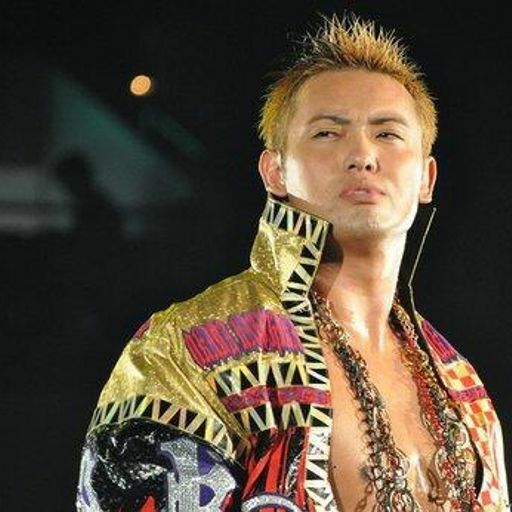 Tomoaki Honma Allegations, Likes/Dislikes of NJPW in 2015 & more! 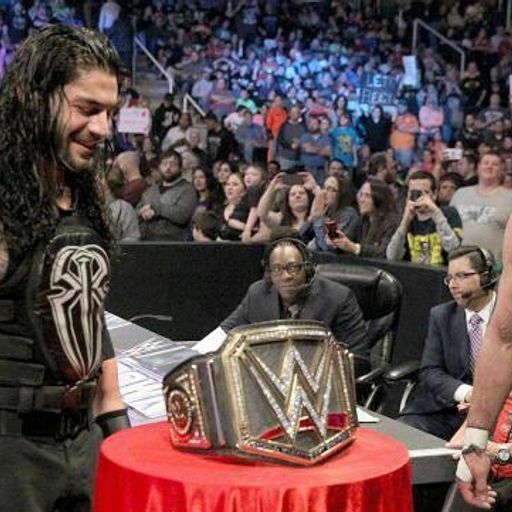 Survivor Series Predictions, Paige/Charlotte, New TV Deals & more! 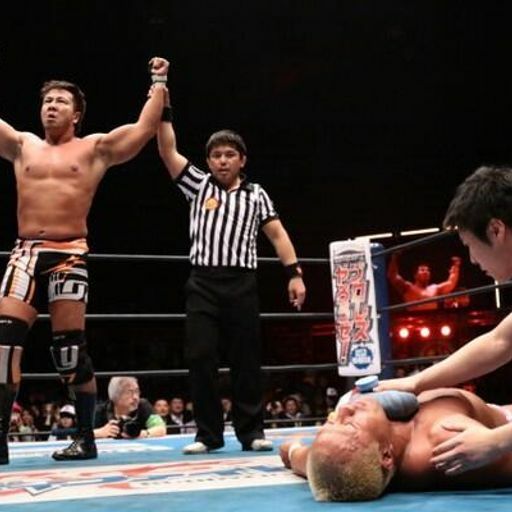 WWE Title Tourney, Tenryu Retirement, NJPW Power Struggle & more! 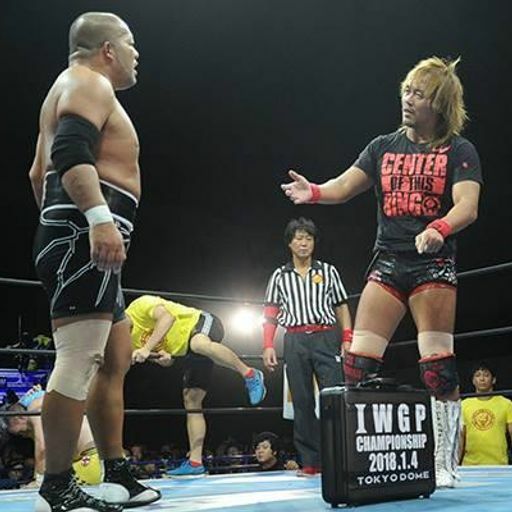 Shingo vs. Mochizuki, NJPW Power Struggle 2015, WO Hall of Fame & more! 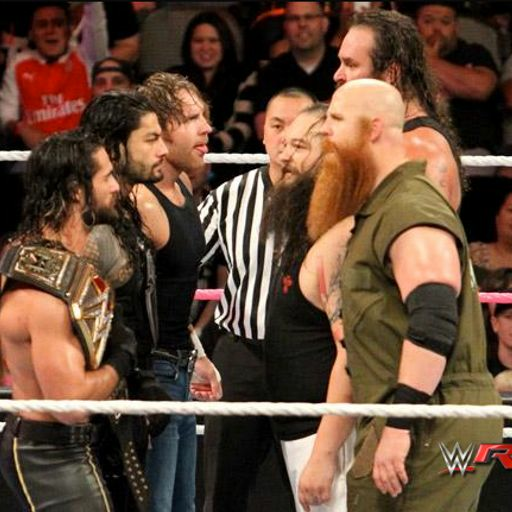 WWE Hell in a Cell 2015, NOAH Global League, Alberto Del Rio & more! 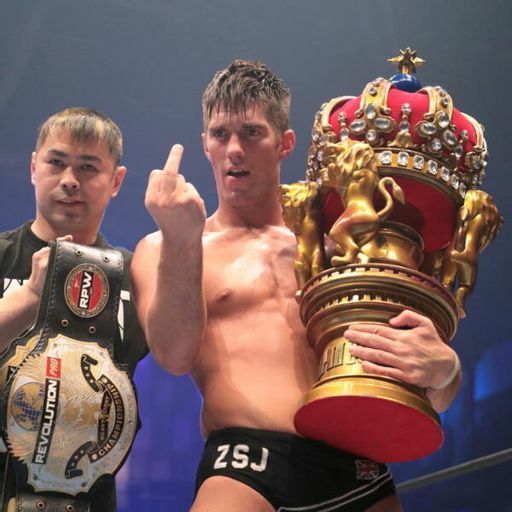 NJPW Super Juniors Tag Tourney, History of FIP, ROH TV & more! 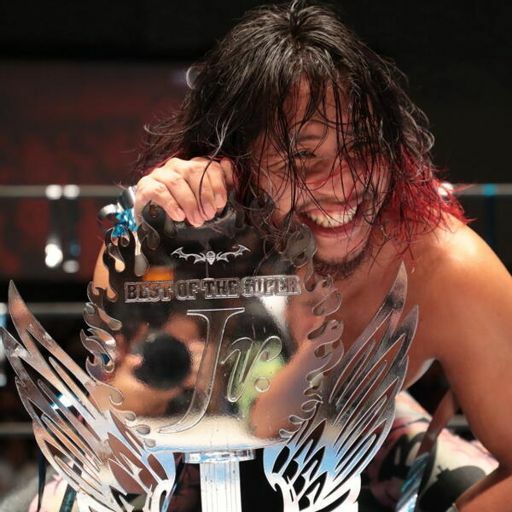 King of Pro-Wrestling, EVOLVE/WWE, NOAH's Savior & more! 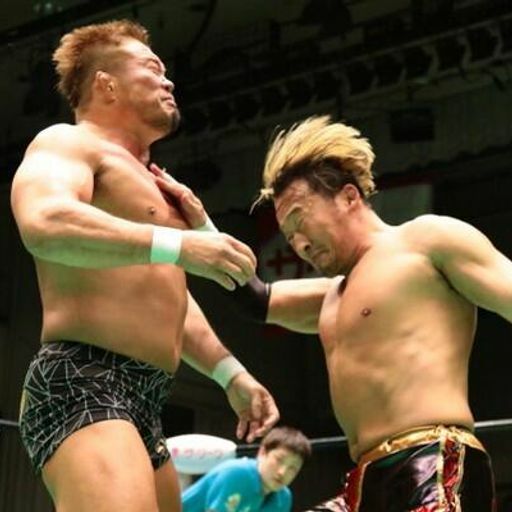 The New Japan Purocast makes its debut on the Voices of Wrestling podcasting network! WON HOF, Dusty Rhodes Tag Team Classic, Double ROH Preview & more! Brit Wres Roundtable (Episode 2): PROGRESS, BOLA & more! WWE SummerSlam, TakeOver: Brooklyn, #DivasRevolution & more! 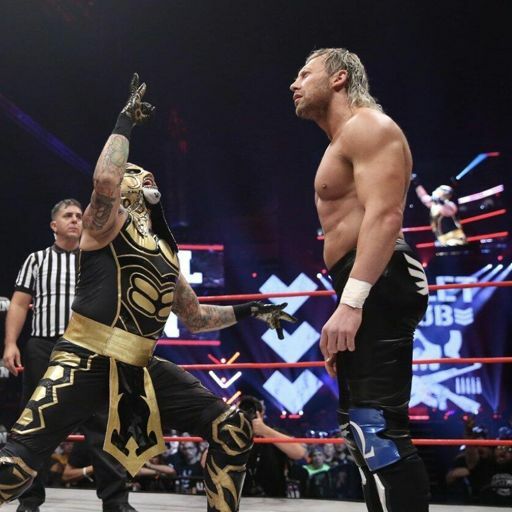 TripleMania, Worst PPVs Ever, G1 Finals Preview & Your Questions! 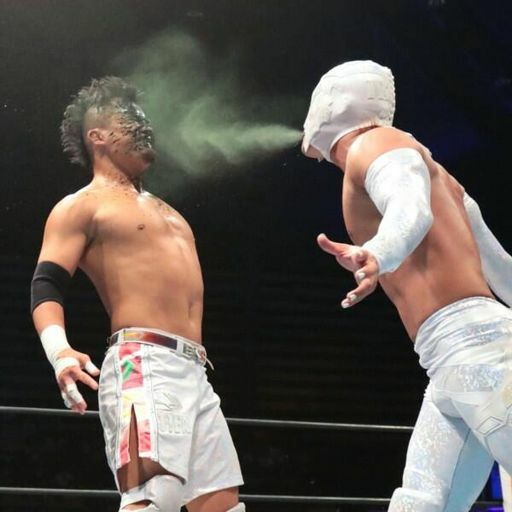 Ultima Lucha, Hideki Suzuki/Wrestle-1, G1 Climax & more! Lucha of the Hidden Temple: Who Wants to Hug a Bumblebee? In this episode, after strongly questioning the wisdom in hugging bumblebees, Doc runs down the card and his predictions for Ultima Lucha and recaps the go-home show. 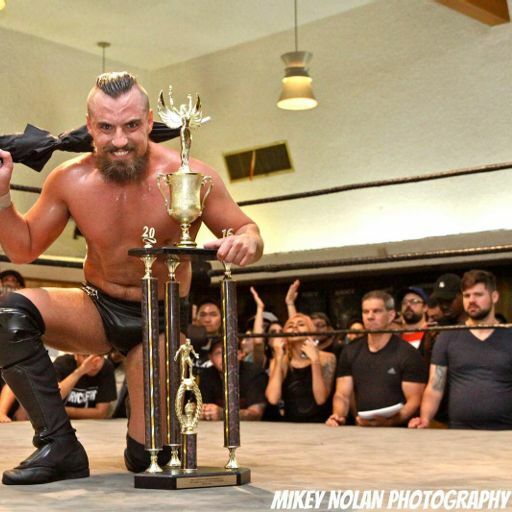 VOW Interview: Son of Havoc (Matt Cross) on Ultima Lucha, LU, Tough Enough, parkour, Hogan & more! Brit Wres Roundtable (Episode #1): PROGRESS Chapter 20, RevPro TV & more! 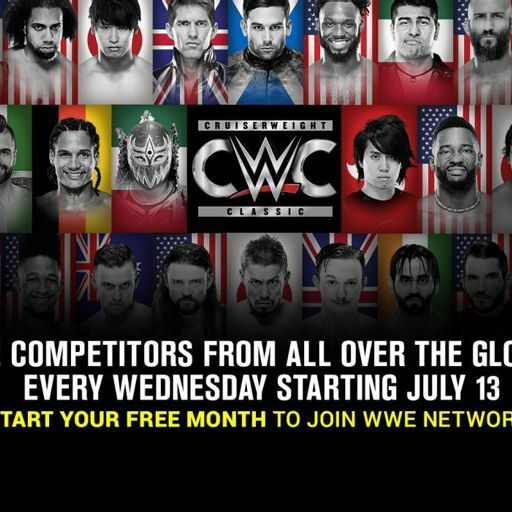 WWE Battleground, Kobe World, G1 Climax & more! 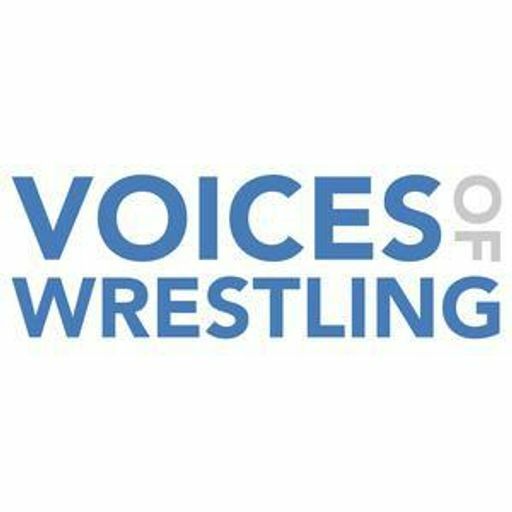 Voices of Wrestling is back with a major show talking about all the major shows from last weekend: WWE Battleground, Dragon Gate's Kobe World and NJPW's kickoff to G1 Climax 25. Lucha Of The Hidden Temple: Medallions For Everybody! 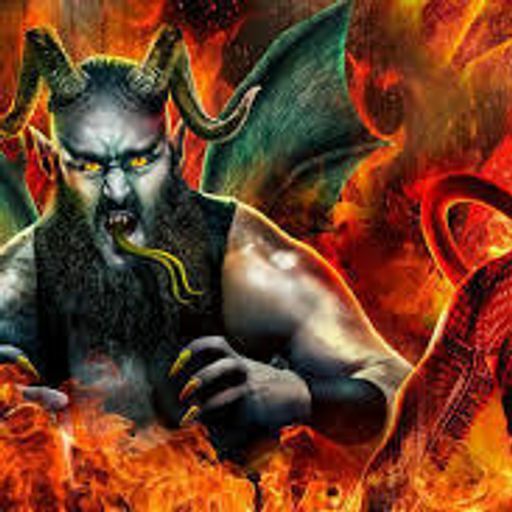 In this installment, Doc discusses the disappointing storytelling shortcomings in an important build-up episode of Lucha Underground leading into Ultimo Lucha. NJPW Dominion, DDT, Big Japan, Your Questions & more! 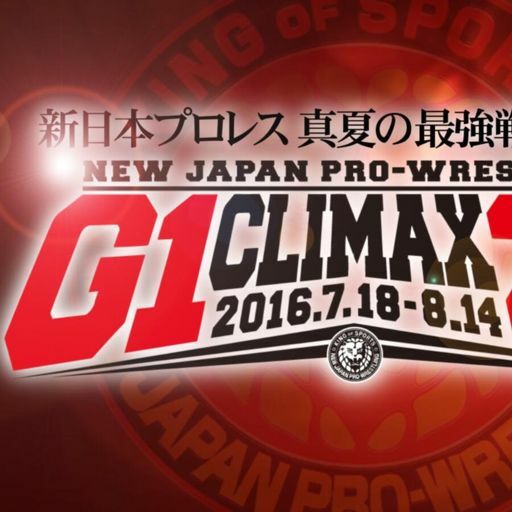 G1 Climax Roster, Dusty Rhodes, WWNLive/WWE & more! Voices of Wrestling returns with a brand-new show talking the news of the day, the passing of the "American Dream" Dusty Rhodes, what Dusty meant to us and our favorite matches/moments and promos. Best of the Super Juniors, ROH/TNA Ratings & more! 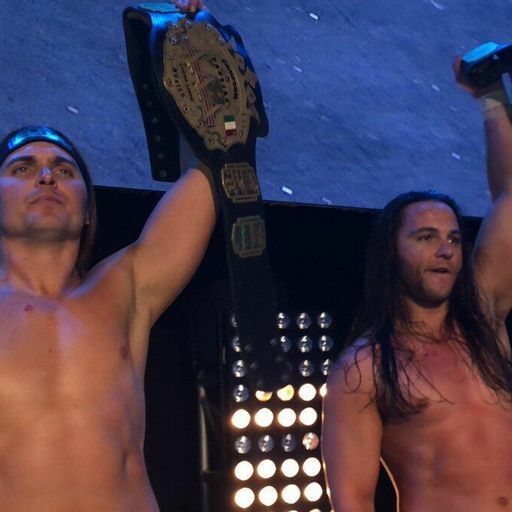 ROH/Destination America, TNA's Future, Best of the Super Juniors & more! WWE Payback, Elimination Chamber, Dragon Gate & more! 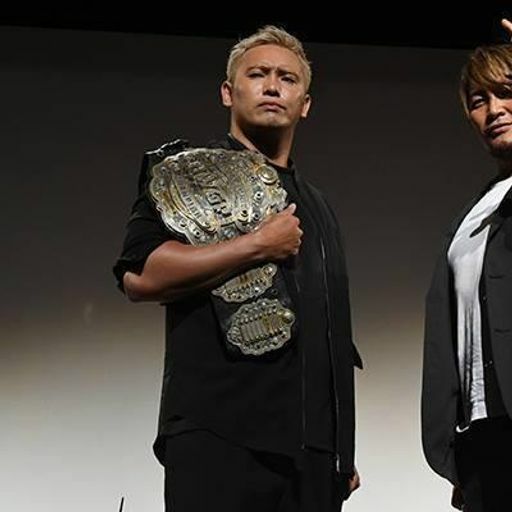 Wrestling Dontaku, Best of the Super Juniors, GFW Roster Reveal & more! Extreme Rules, Wrestling Hinokuni, Dragon Gate & more! 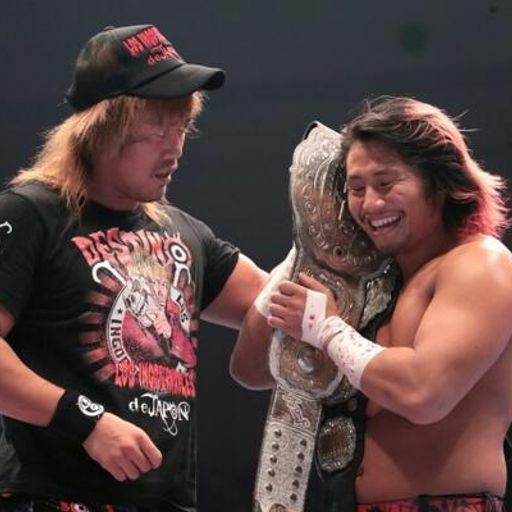 The Road to WrestleMania, New Japan Cup/Invasion Attack, ROH & more! 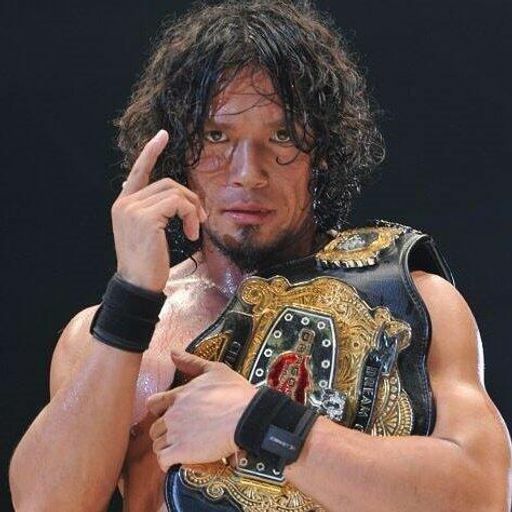 Rey Mysterio Situation, Dragon Gate, ROH 13th Anniversary & more! 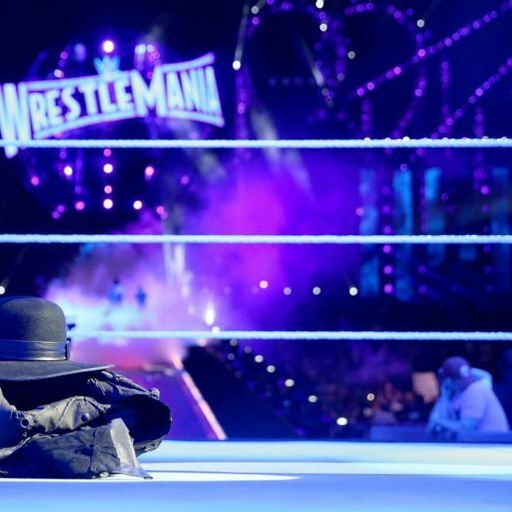 WWE Fastlane, WrestleMania thoughts, Mysterio & more! 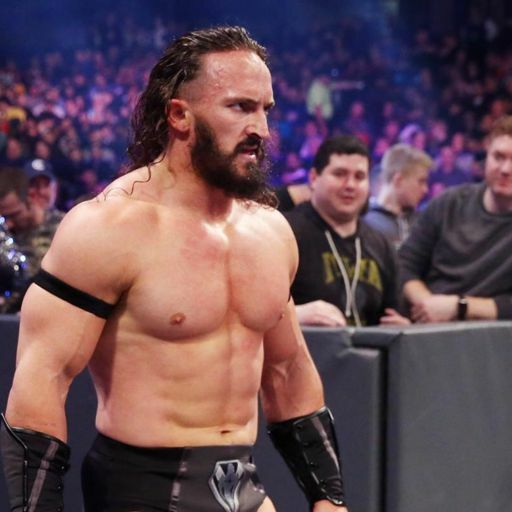 We're back with a comprehensive breakdown of WWE Fastlane, our early thoughts on WrestleMania, what's next for Rey Mysterio and some thoughts on New Japan Pro Wrestling and Dragon Gate. In this episode, Doctor Nov laments the disappointing resolution to the Chavo vs. Mil storyline and mulls what the meaning of "tactus" is. 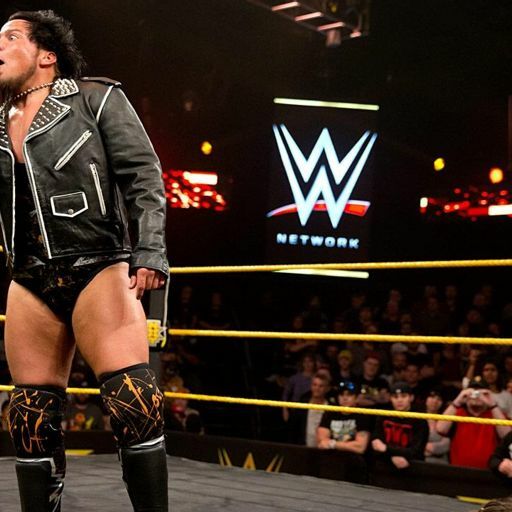 New Beginning in Sendai, Samoa Joe, WWE Fastlane & more! In this installment, Doctor Nov discusses the first in-ring moments with Alberto El Patron and the style of midcard match that Lucha Underground excels at. New Beginning in Osaka, NXT TakeOver: Rival, Tenryu & more! NXT Takeover: Rival Preview, Match of the Month, Your Questions & More! In this episode, Doctor Nov is joined by Seth Partnow (with an ever-so-brief cameo by Mr. Chesterfield). They discuss cutting knives with the intensity and... Mil Muertes LOSING?!? 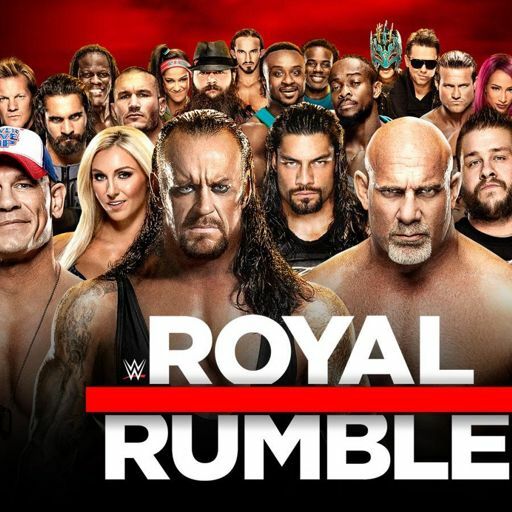 Royal Rumble Reaction, Roman Reigns, NJPW on AXS & more! 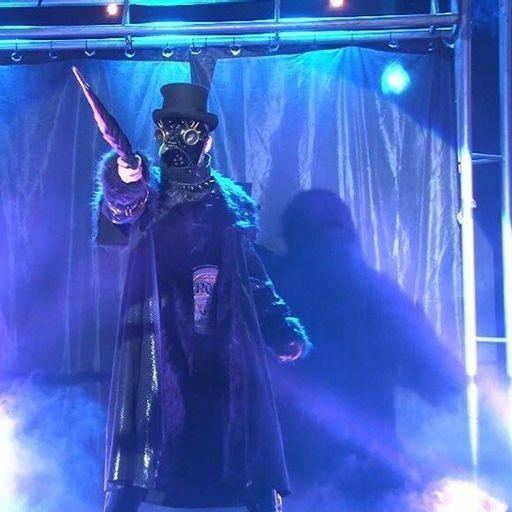 Doctor Nov saves the drinking game for another time, but still breaks down why it is he doesn't like Vampiro's stylings on commentary along with the other happenings for the 1/21 edition of Lucha Underground. World Tag League Finals, NXT Takeover, ROH Final Battle & more! 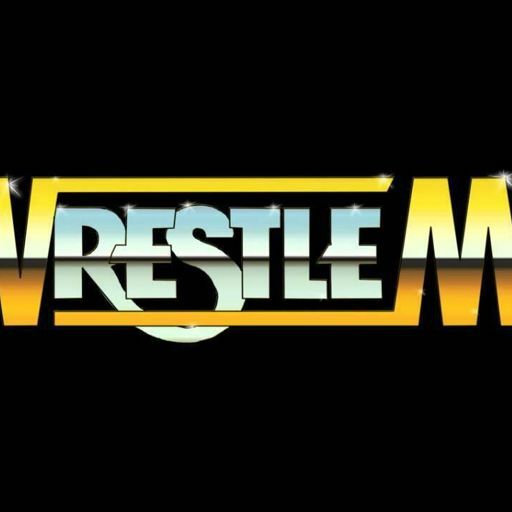 CM Punk, Austin/McMahon, World Tag League & more! 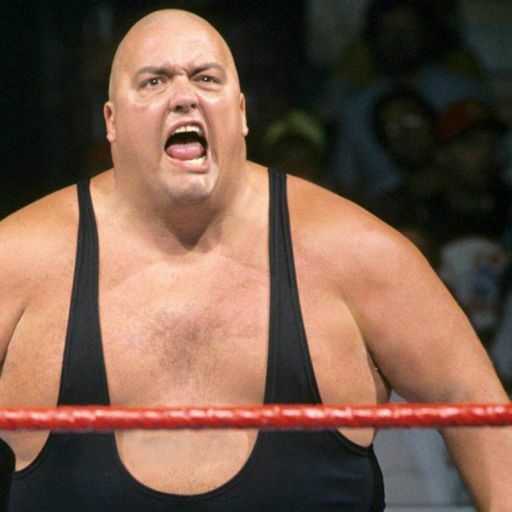 Voices of Wrestling #100: Trainwreck! Observer HOF, Survivor Series, WWN Live in China & more! Hell in a Cell, Super Jr. Tag Tourney, BOLA & more! Hell in a Cell, WWE booking & Your Questions! Bound for Glory, King of Pro-Wrestling & more! 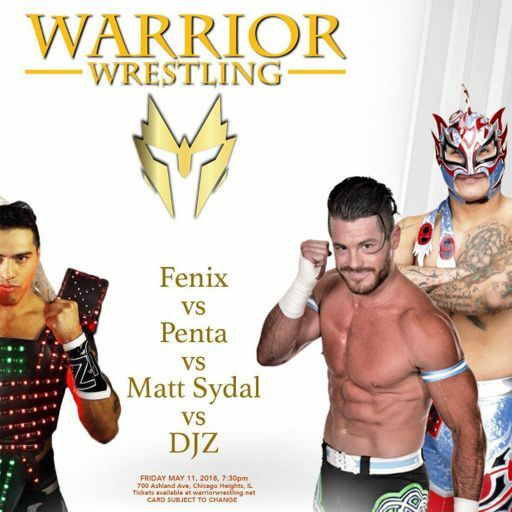 Inspire Pro Wrestling "Battle Wars"
Note: There is an error in the file for this podcast displaying a run time above three hours. The actual runtime is slightly above an hour. Ricochet, Night of Champions, Your Questions & more! King of Trios, Michael Elgin, NXT Takeover 2 & more! Brock/Cena, AAA TripleMania, WWE booking & more! 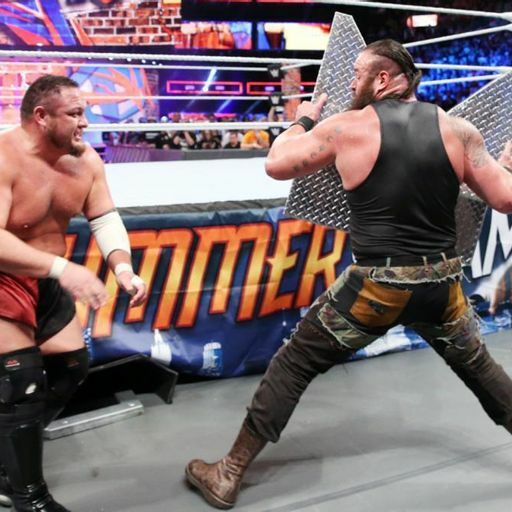 In this installment, Chris and Brian talk a little about the developments coming out of SummerSlam and the first episode of Impact on Wednesday nights. WWE Q2 Results, G1 Climax, TNA/Spike & more! 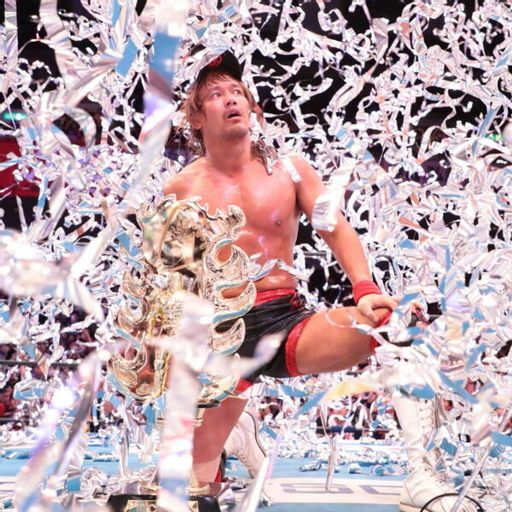 Joe and Rich are back with a brand-new podcast talking G1 Climax Day 5, TNA/Spike relationship, ROH for sale, WWE Q2 earnings reports, upcoming Dragon Gate iPPVs, memories of wrestling magazines, pizza and much more! 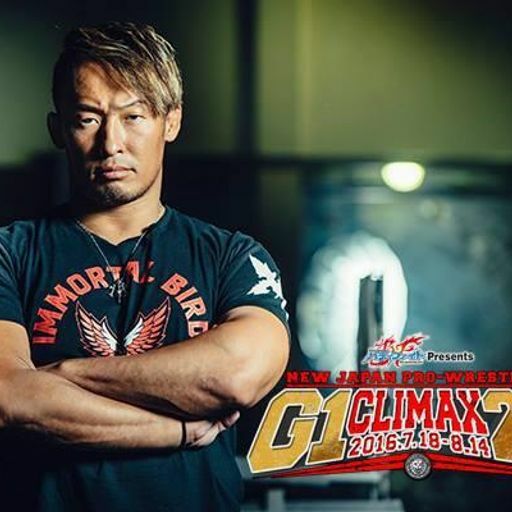 G1 Climax First Four Nights, Dragon Gate, Battleground & more! 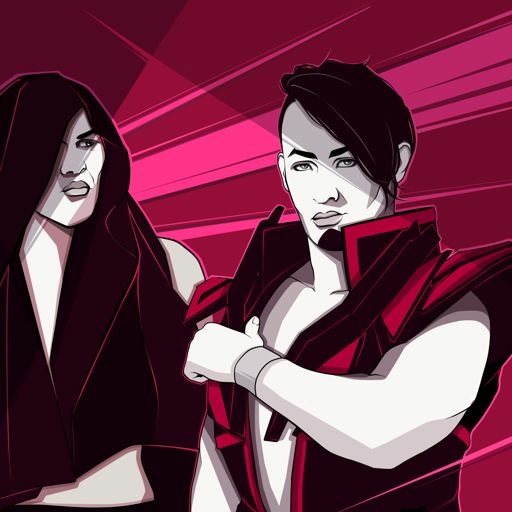 Inspire Pro Wrestling "No Turning Back"
G1 Climax, WWE Battleground, Kobe World & more! 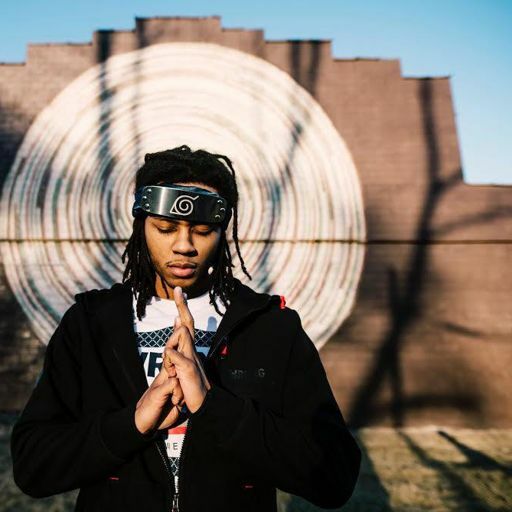 WWE Network, Dragon Gate, Ustream & more! NJPW Kizuna Road, Akiyama/Omori, Money in the Bank & more! 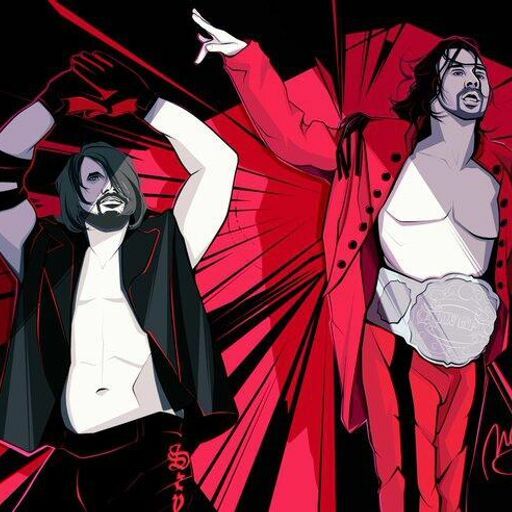 NJPW Dominion, Money in the Bank, CHIKARA/TNA & more! NJPW Dominion Preview, PWS situation & more! 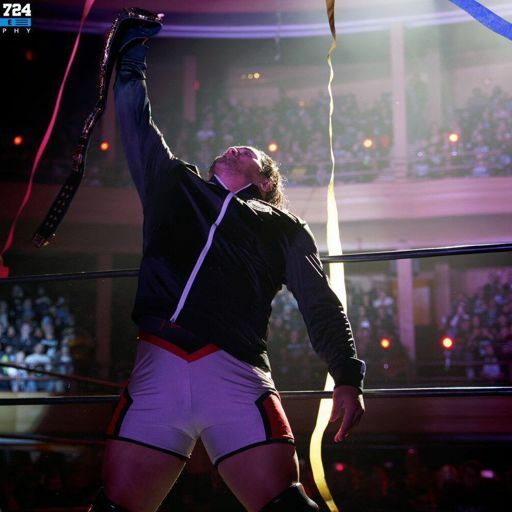 Best of the Super Juniors, Daniel Bryan's Reign, Inspire's Max Meehan & more! 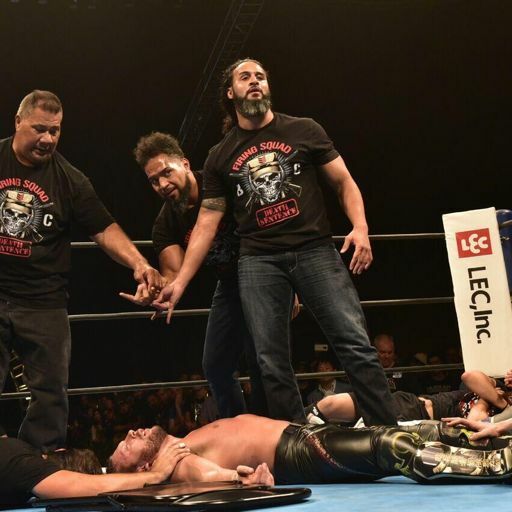 NJPW Best of the Super Juniors, WWE Network Financials, Rollins' Turn & more!